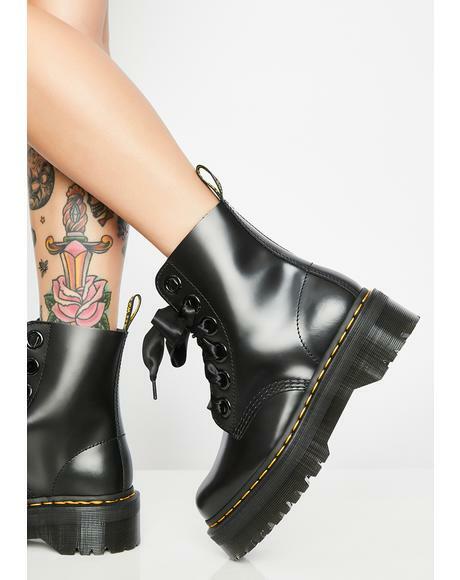 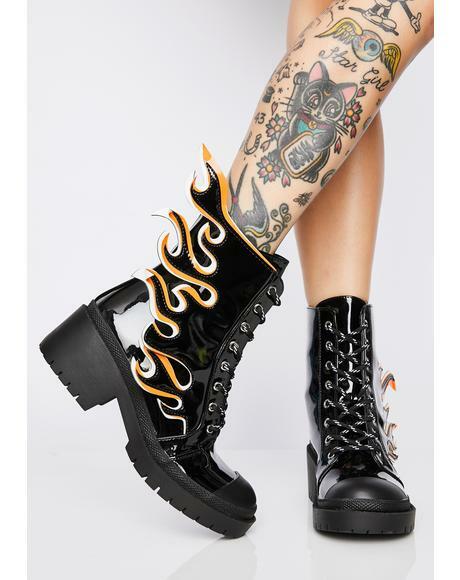 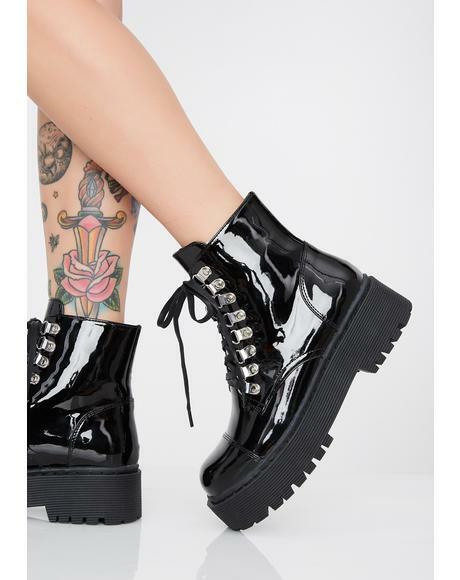 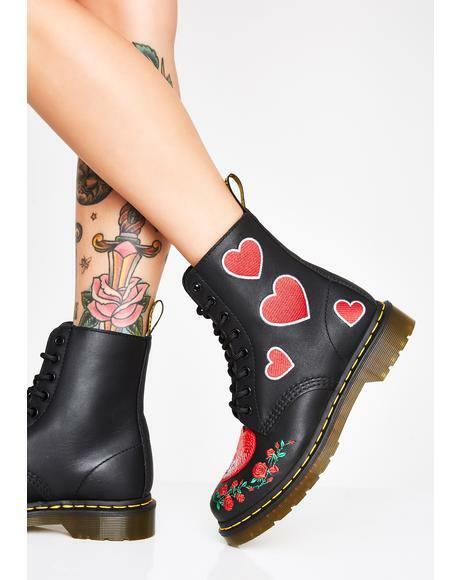 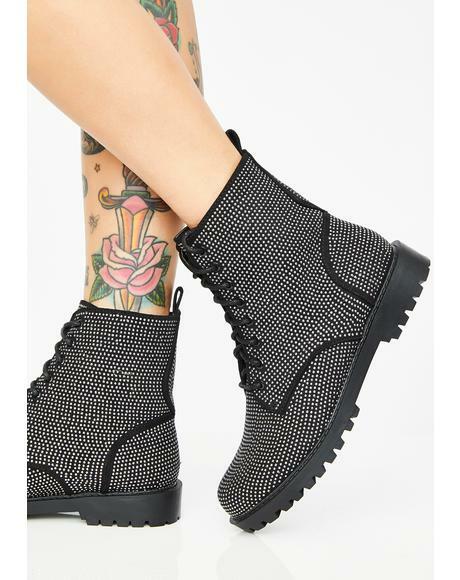 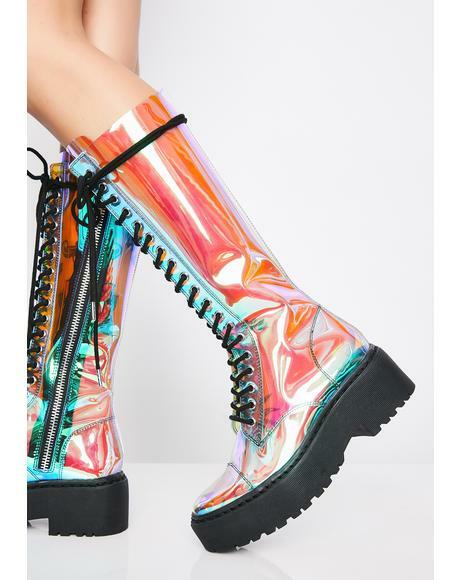 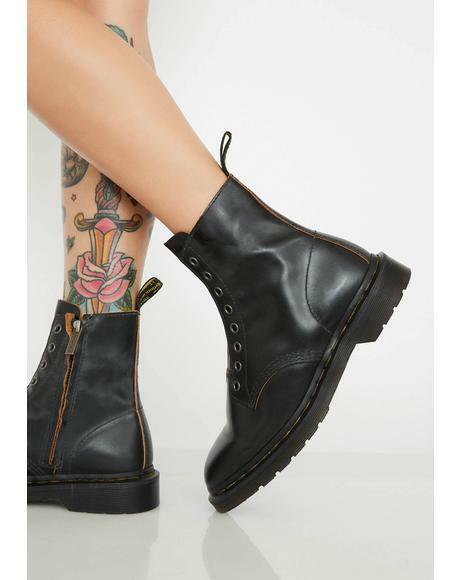 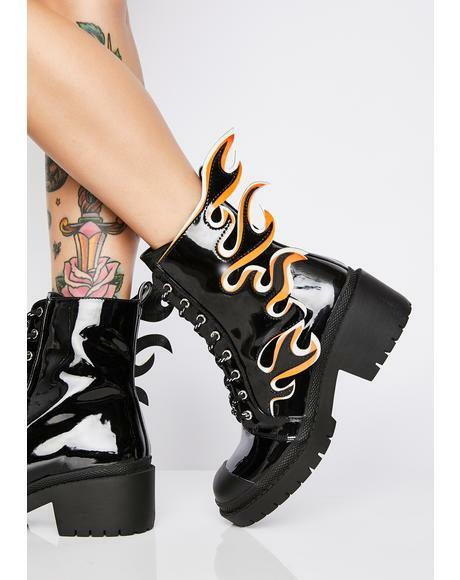 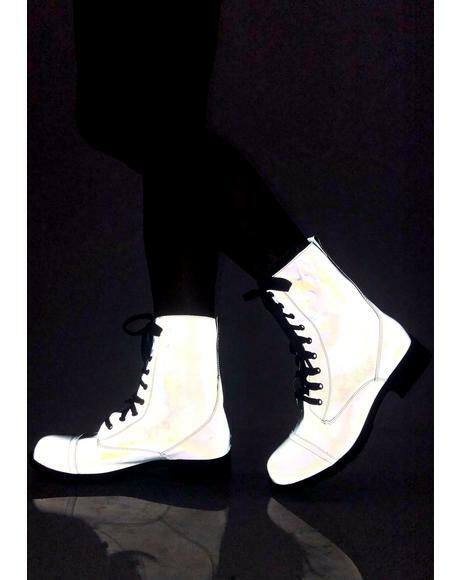 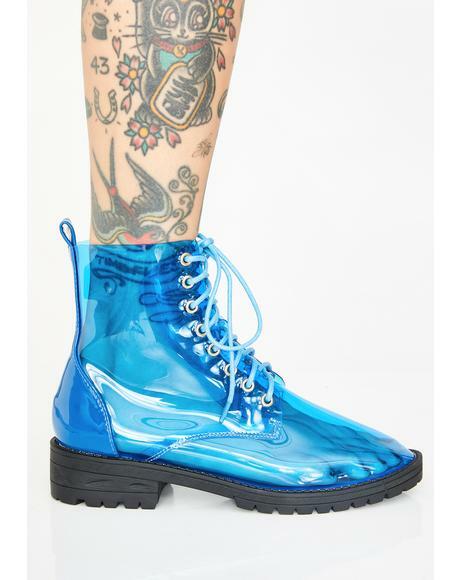 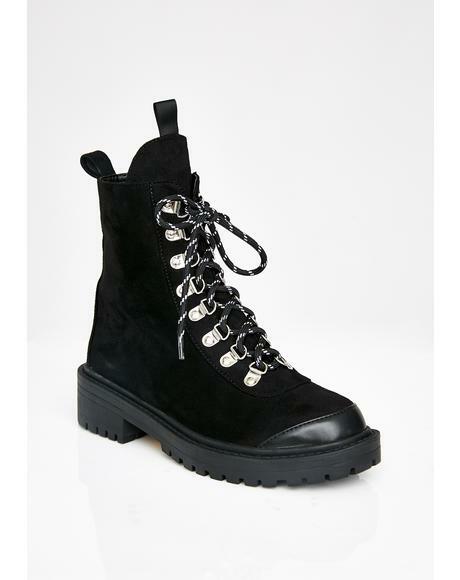 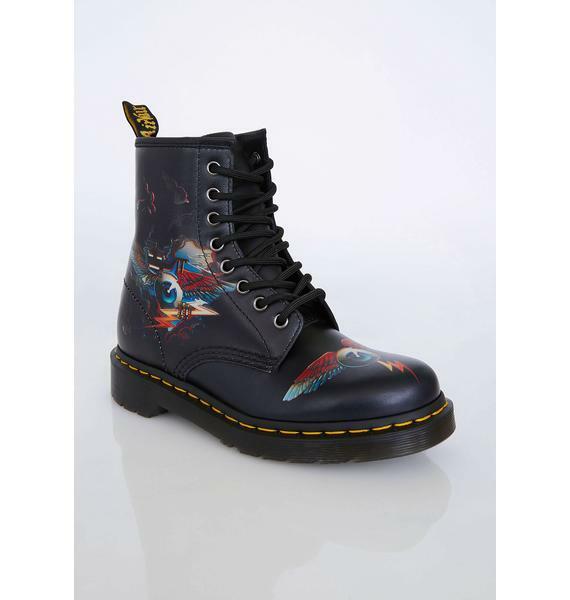 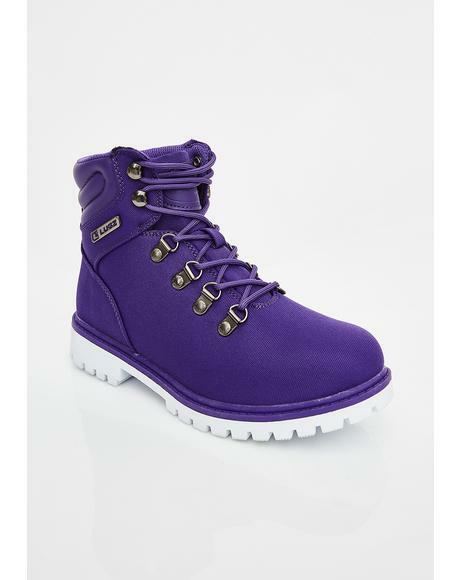 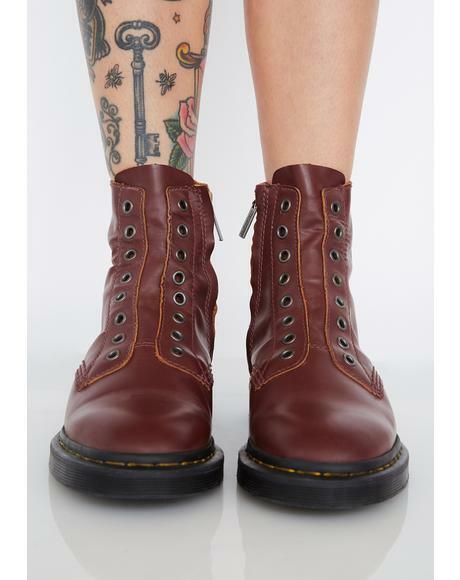 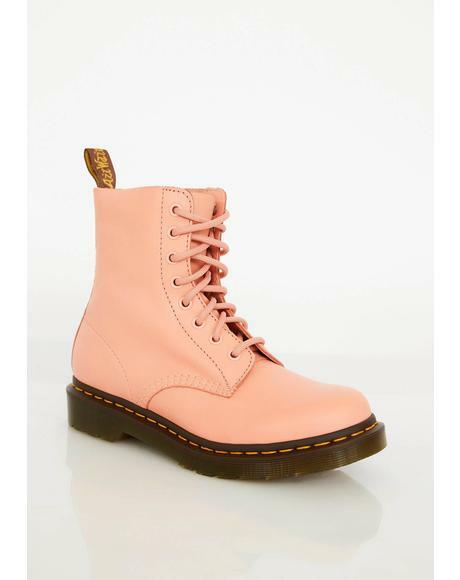 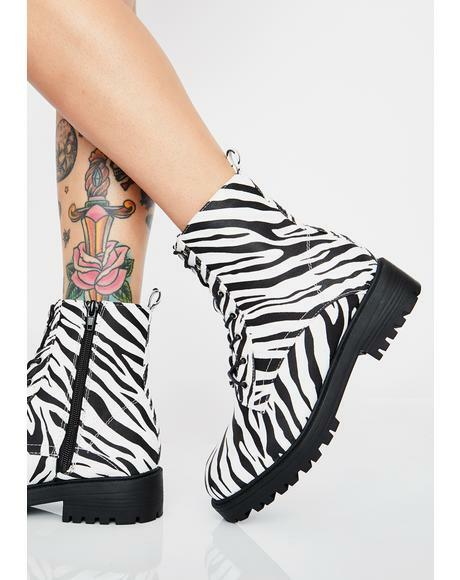 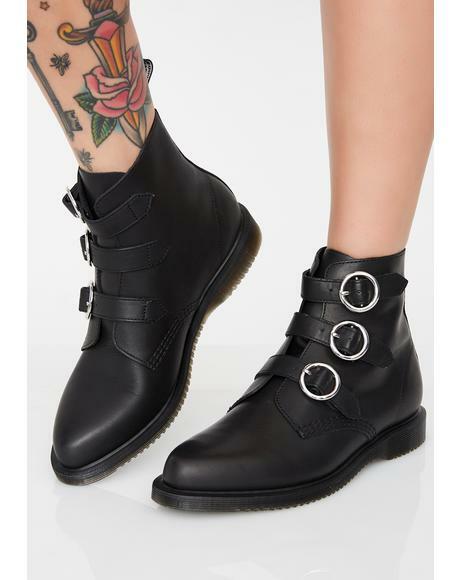 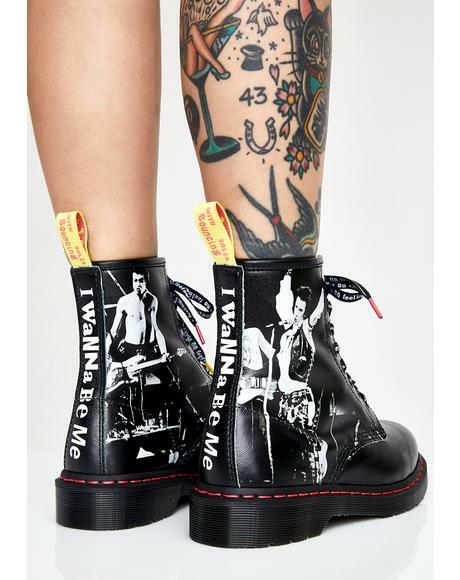 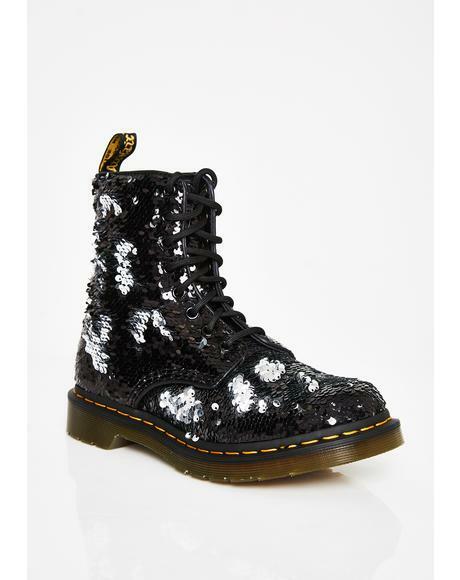 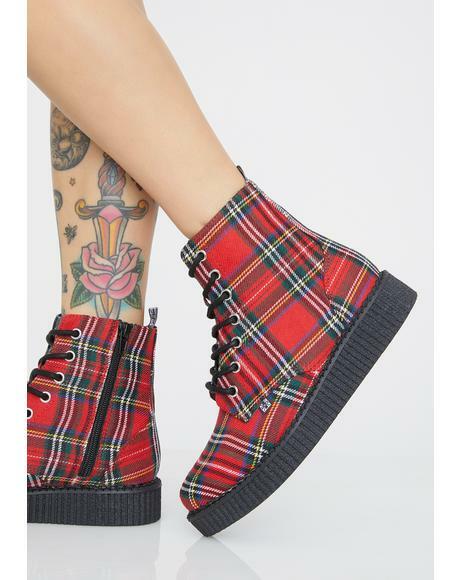 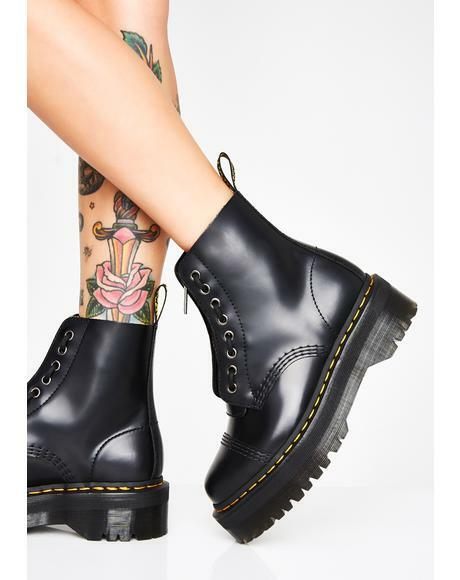 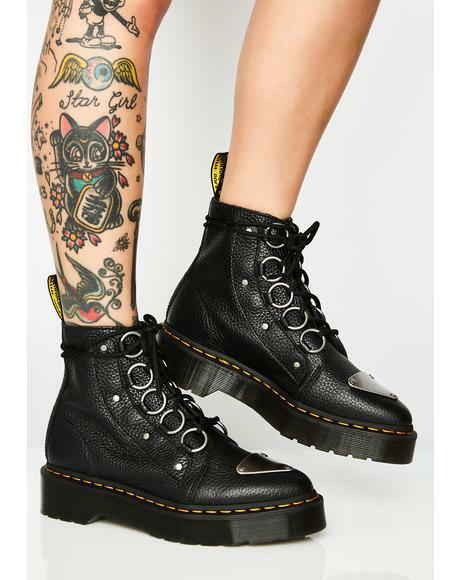 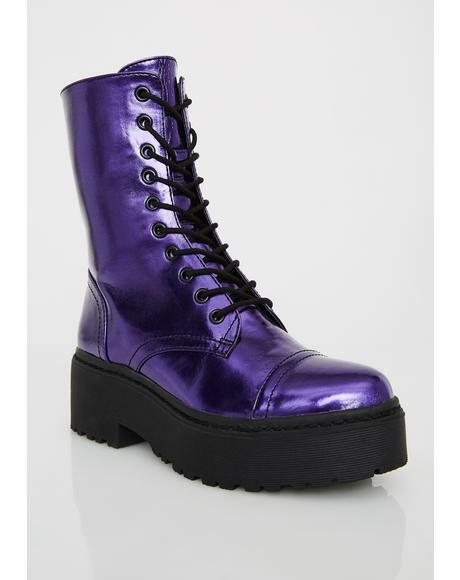 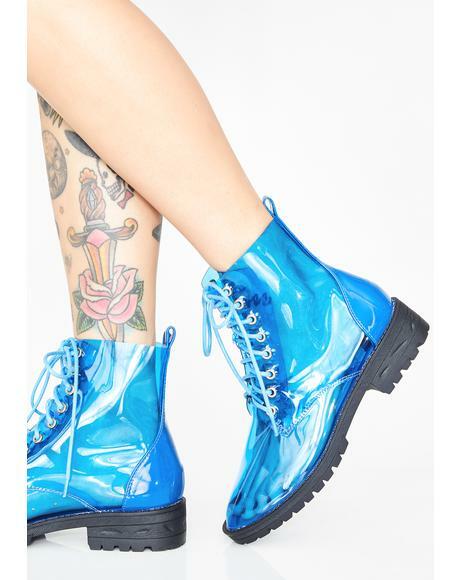 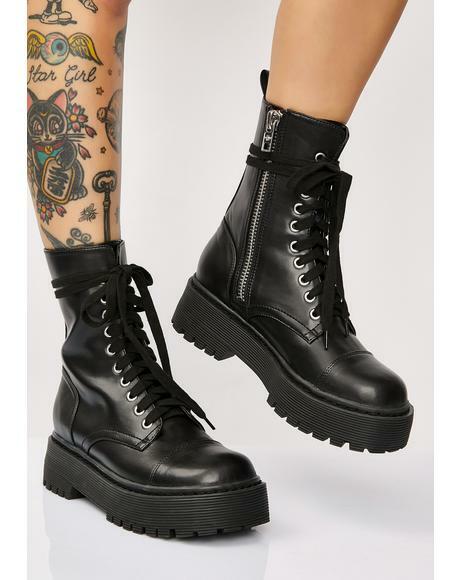 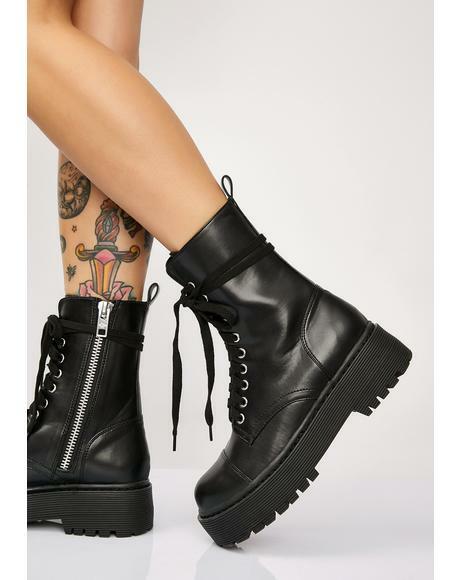 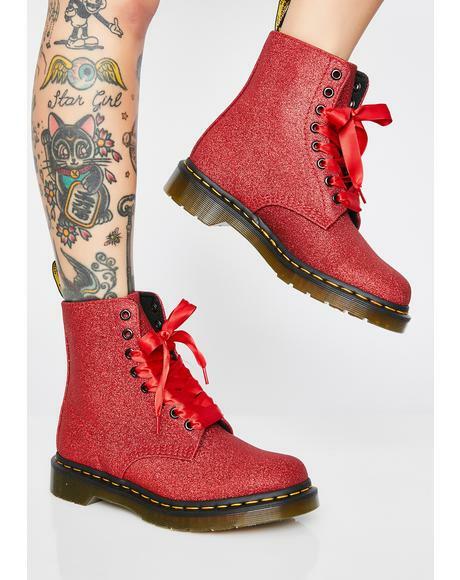 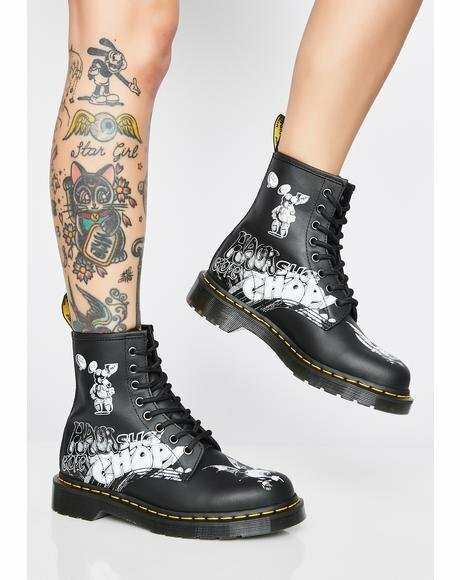 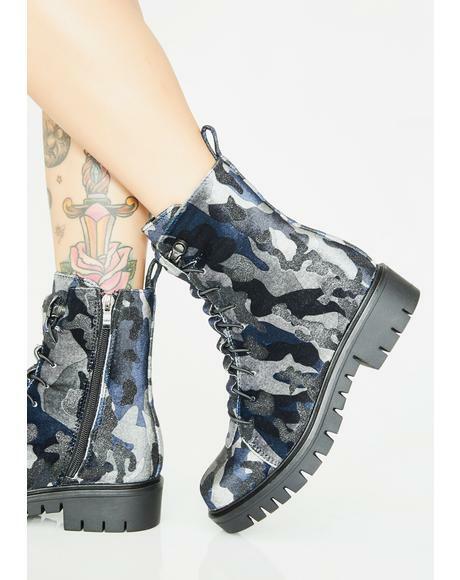 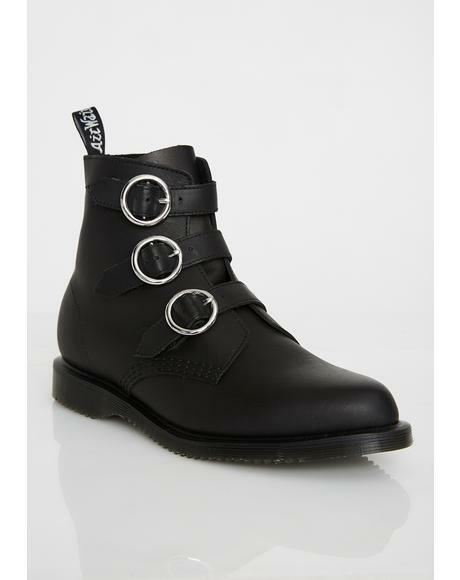 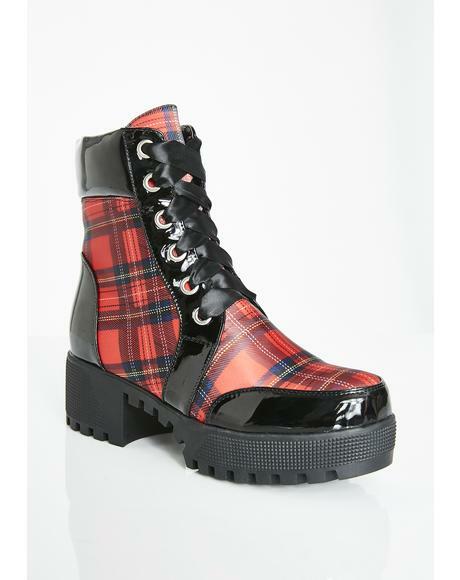 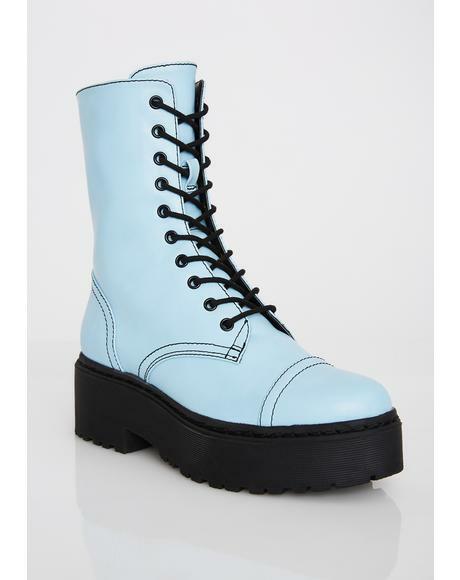 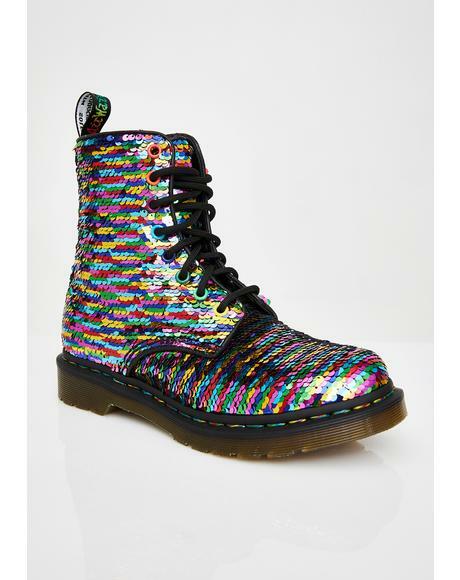 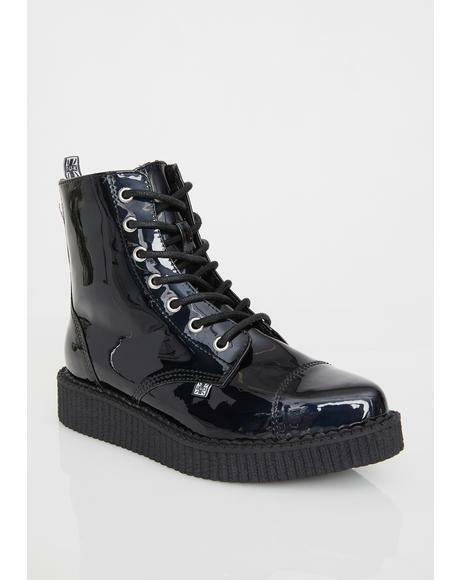 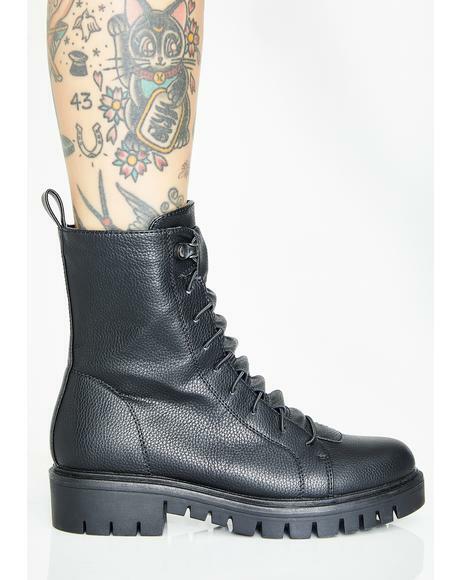 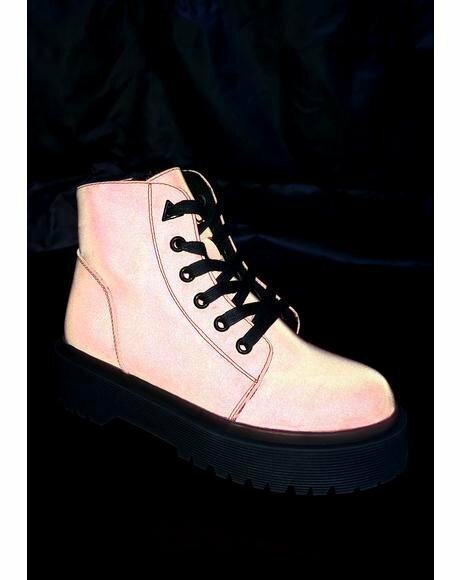 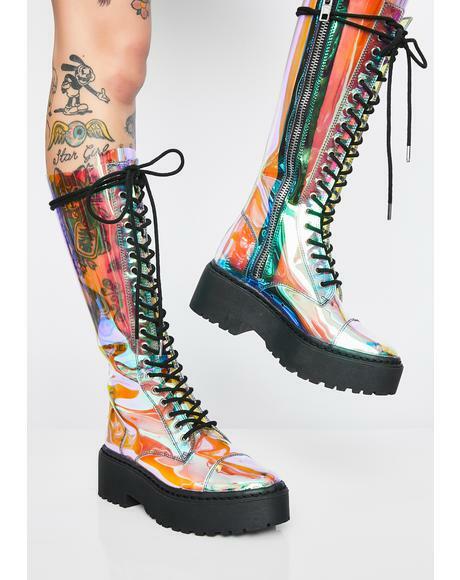 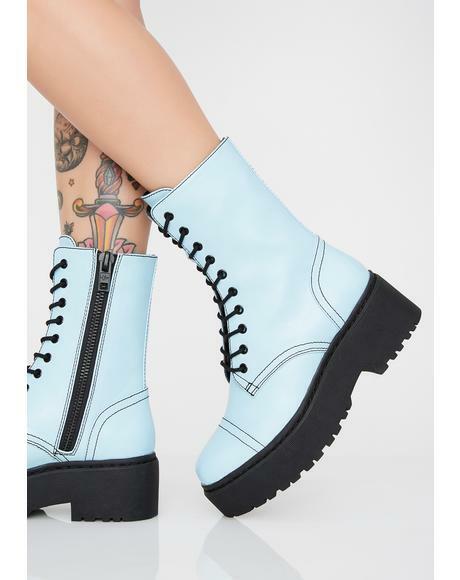 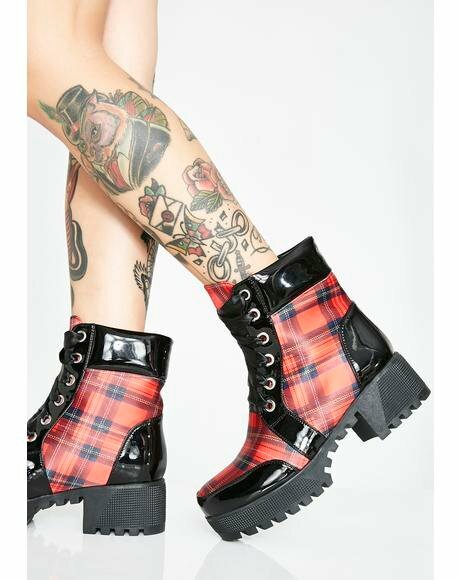 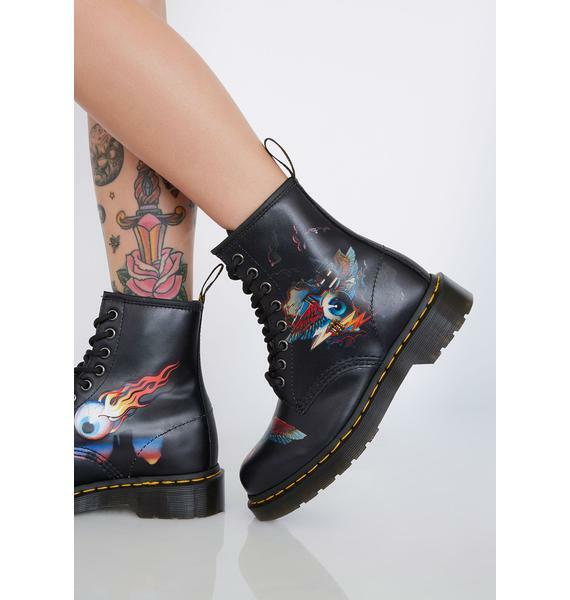 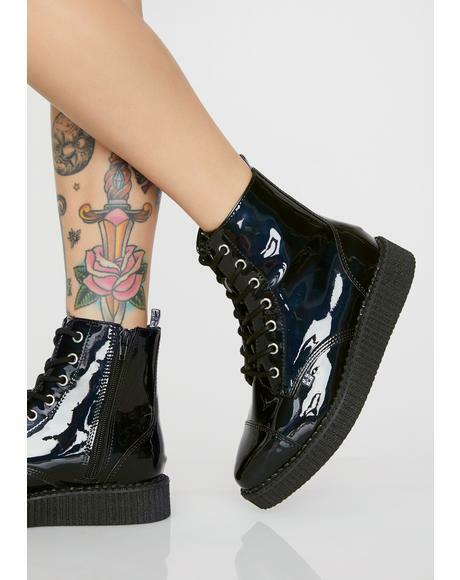 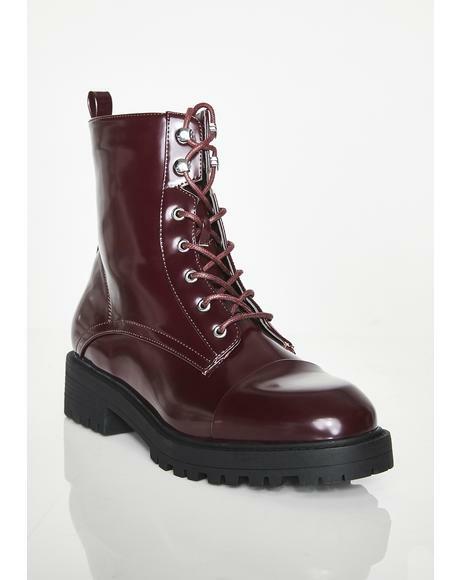 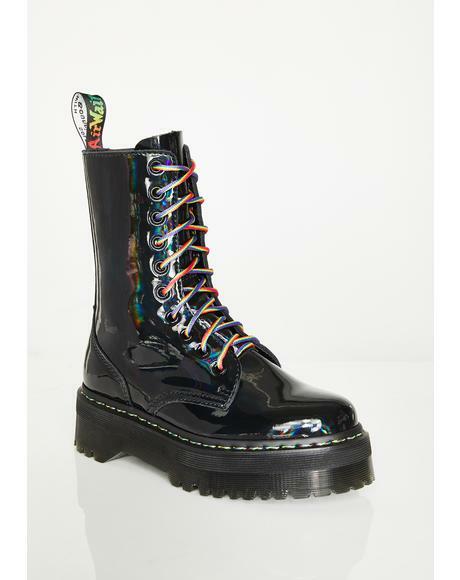 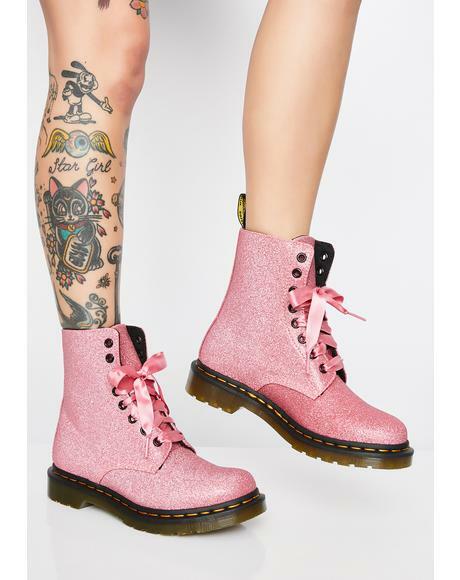 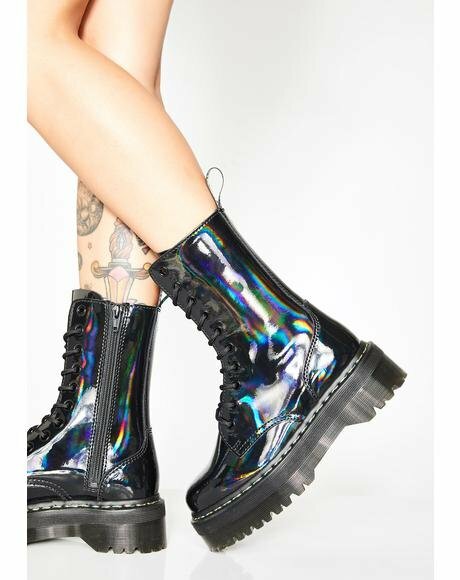 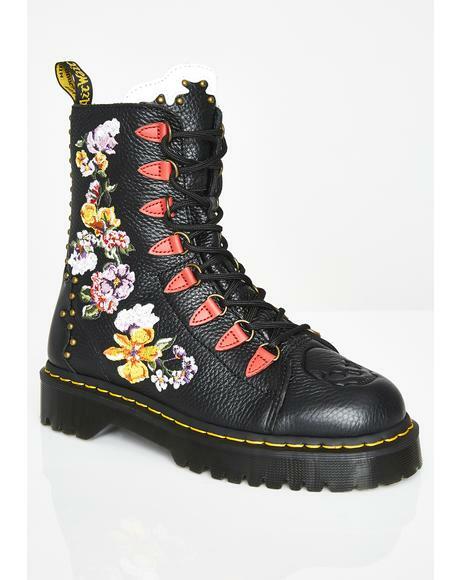 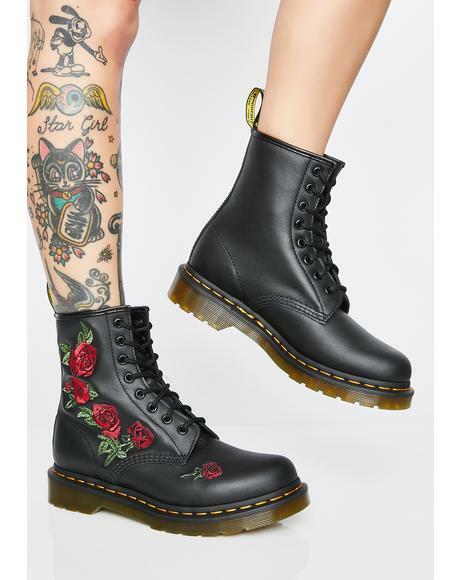 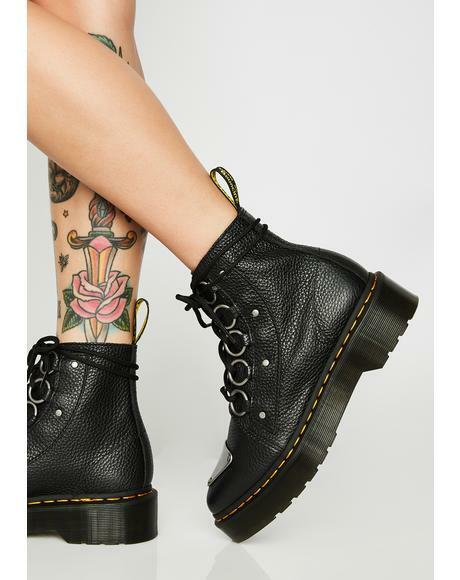 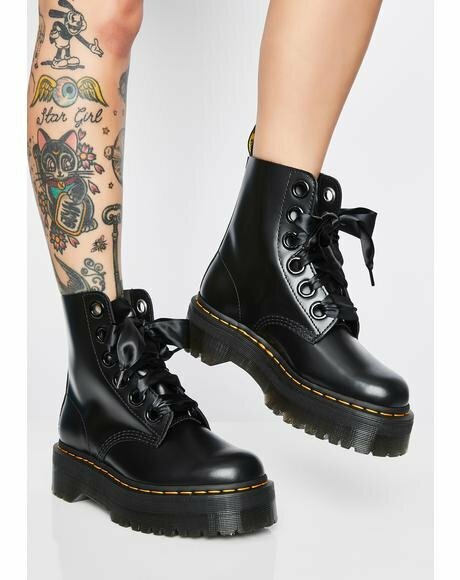 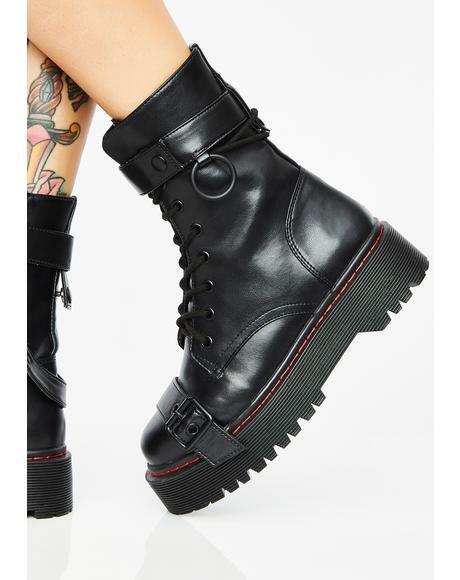 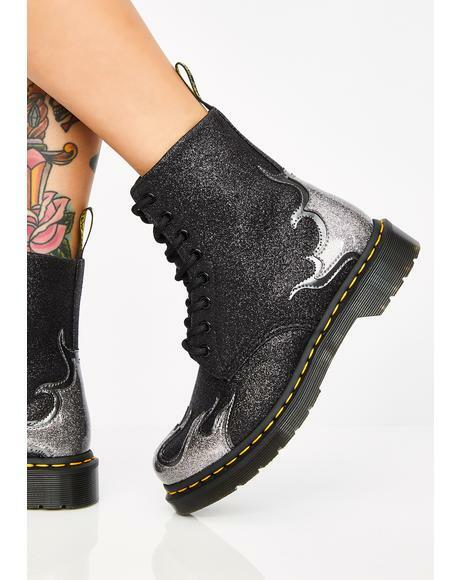 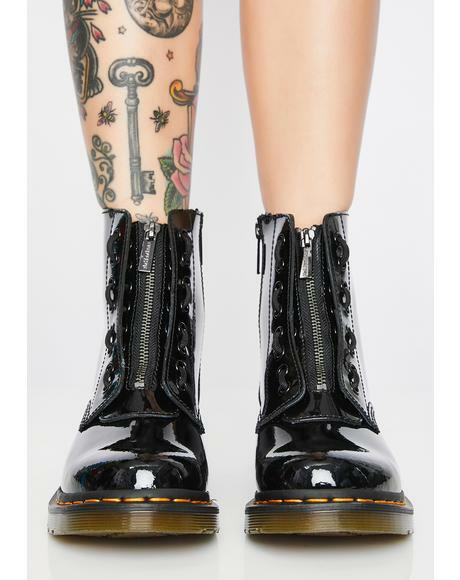 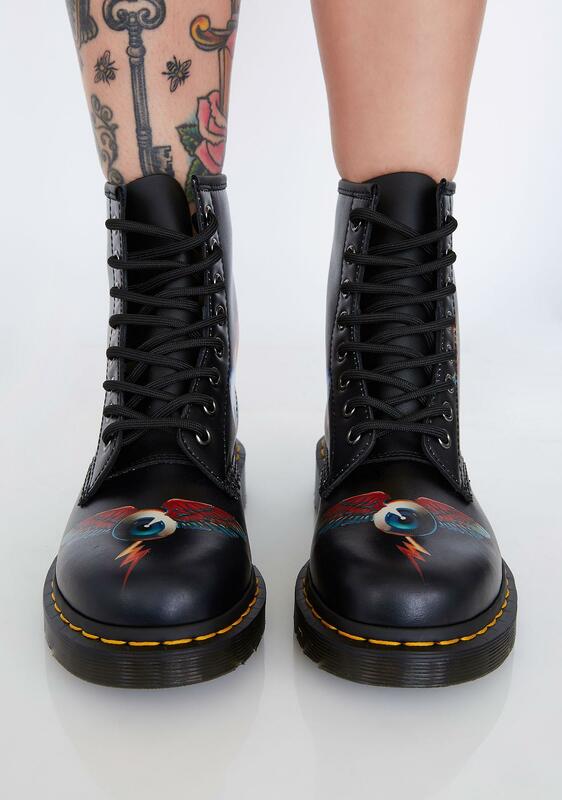 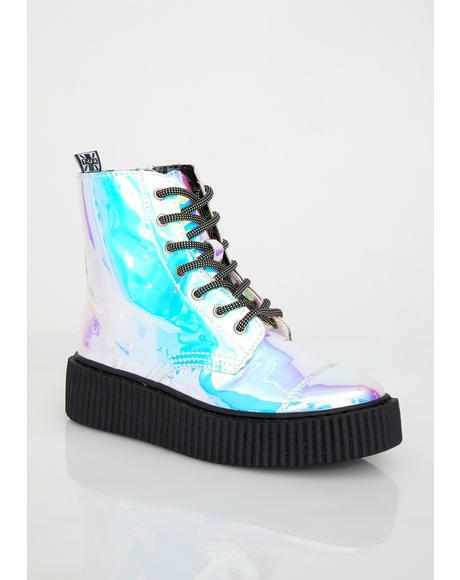 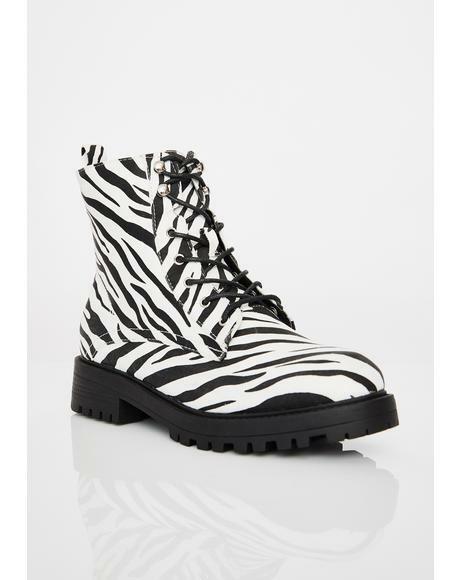 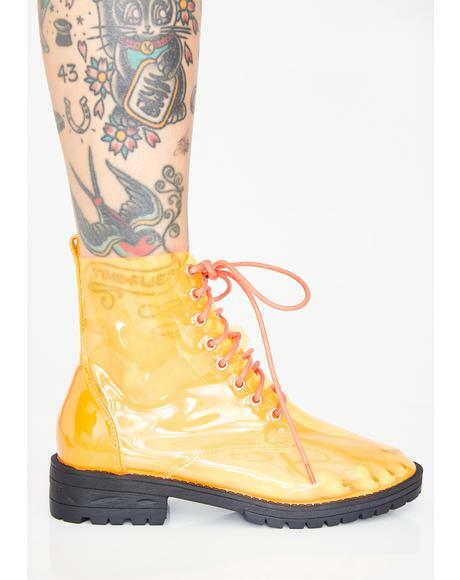 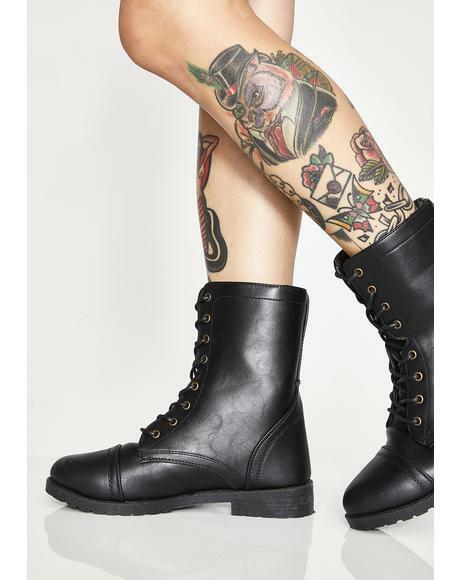 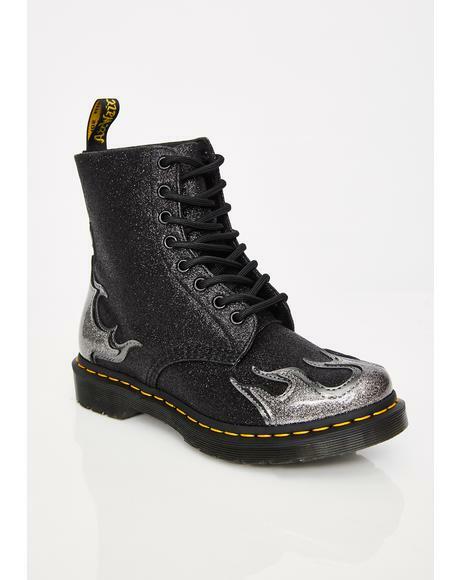 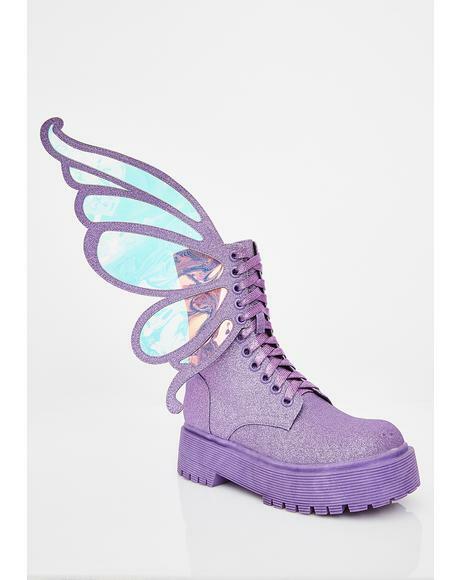 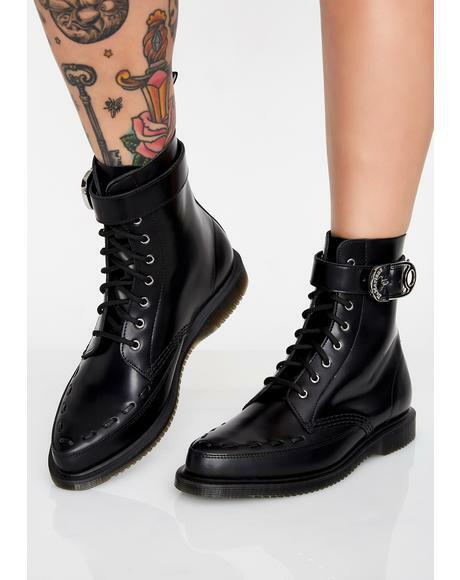 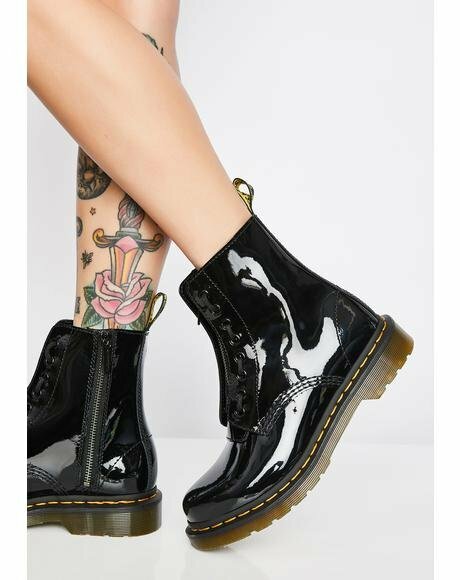 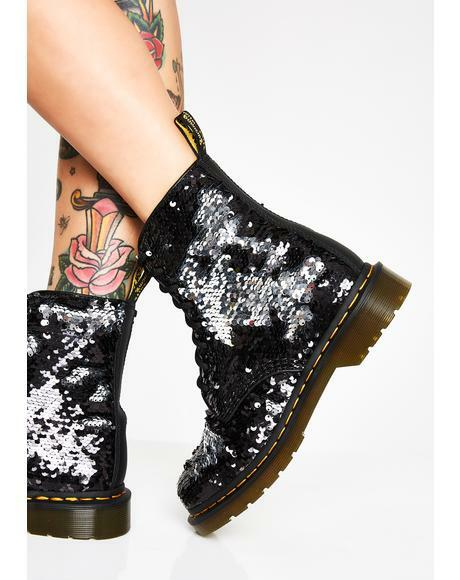 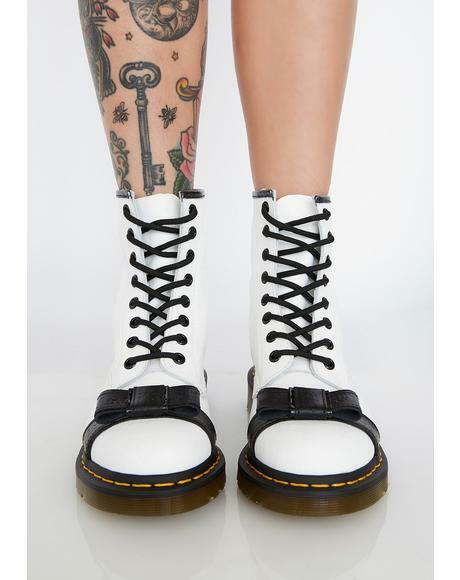 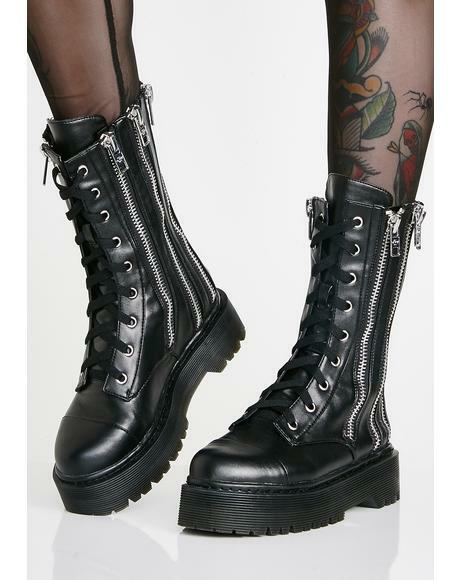 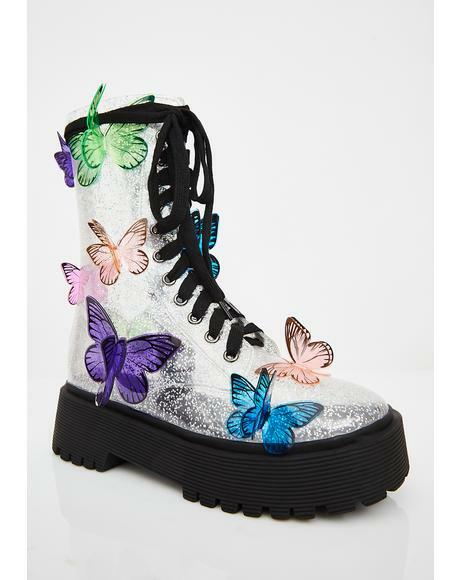 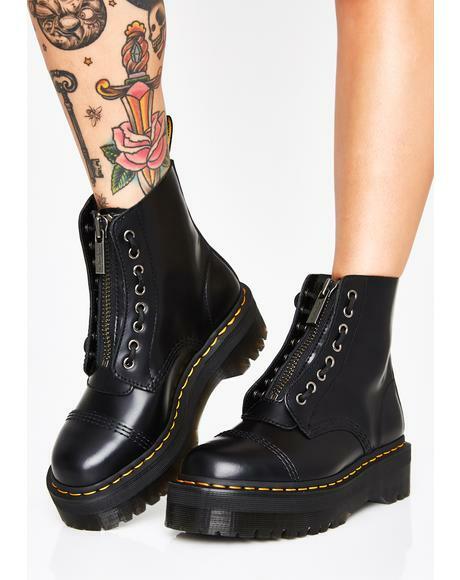 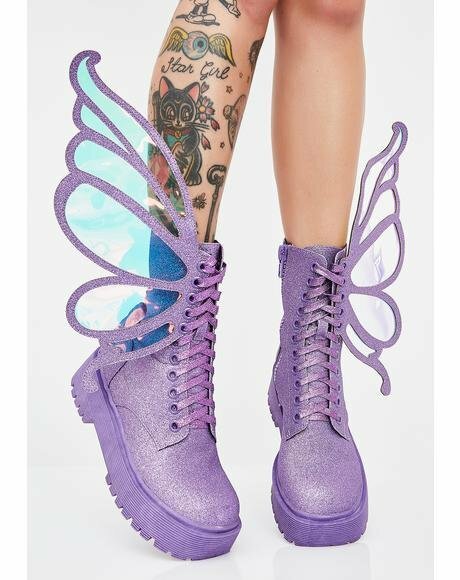 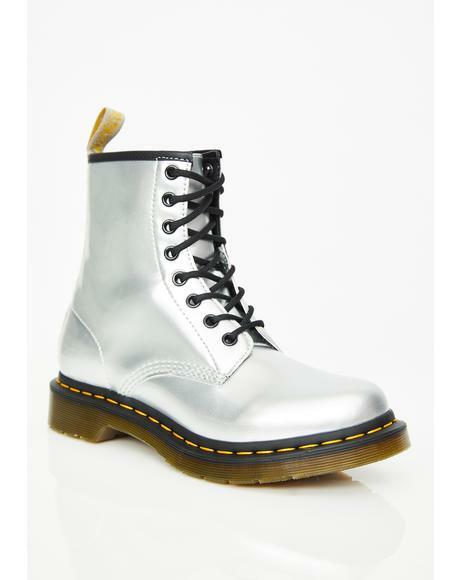 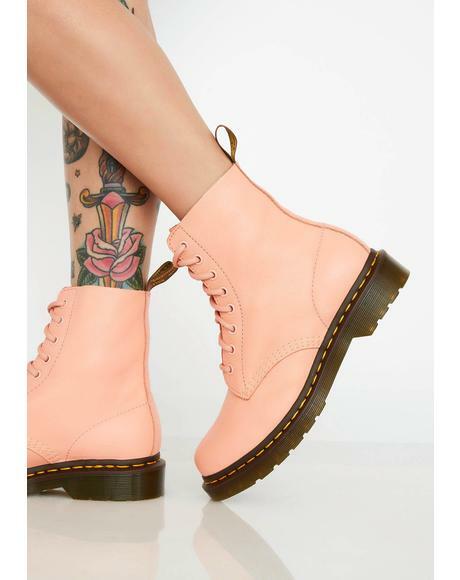 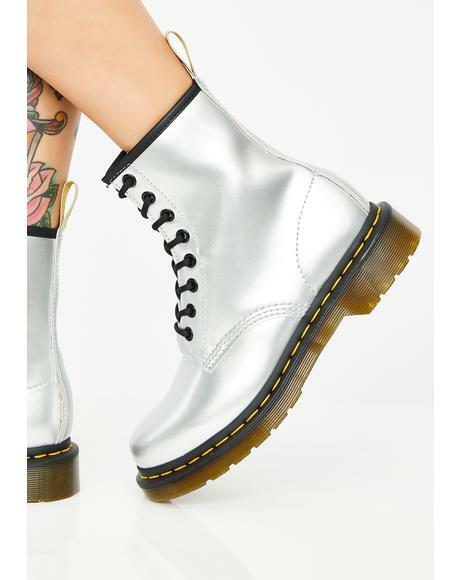 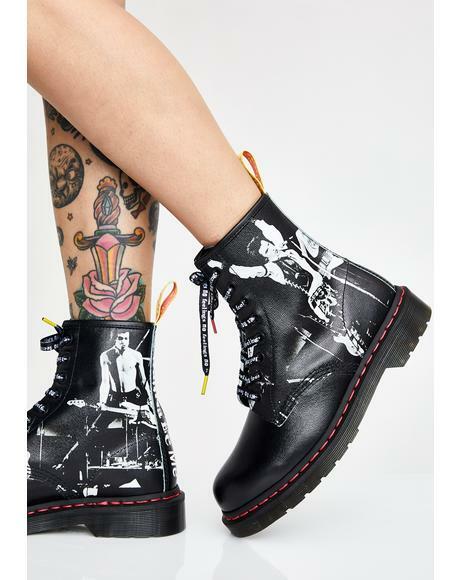 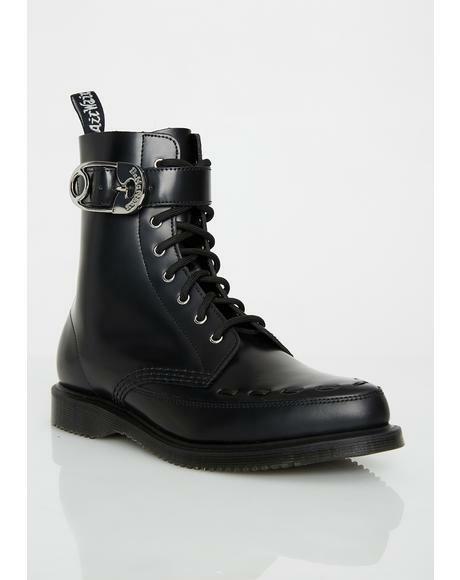 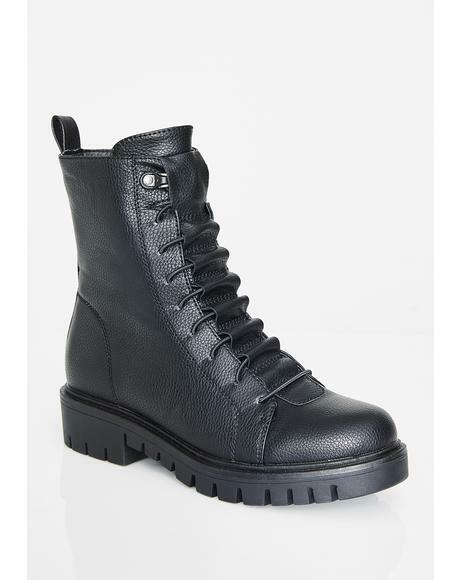 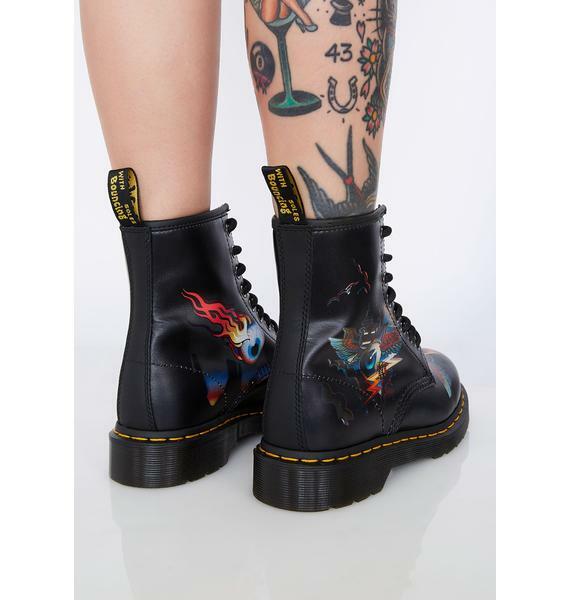 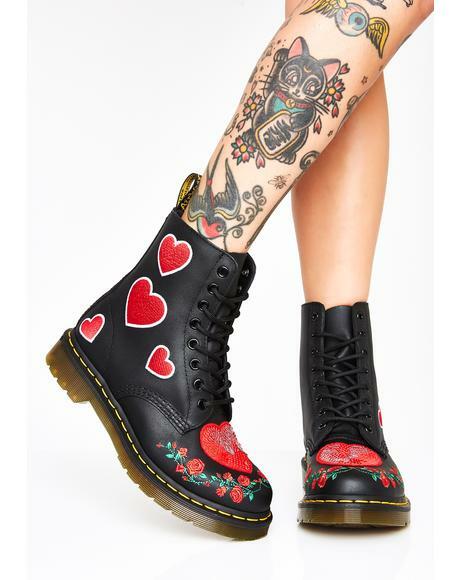 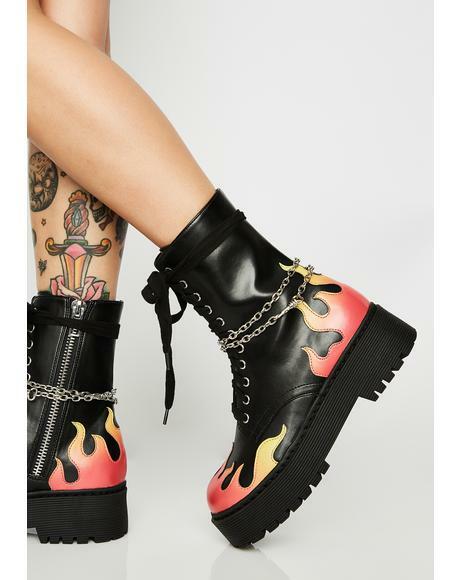 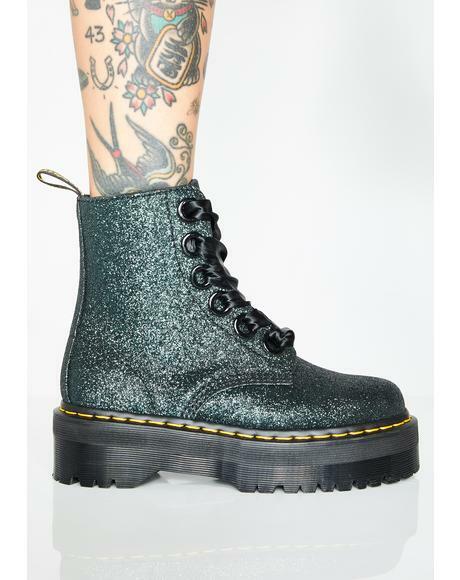 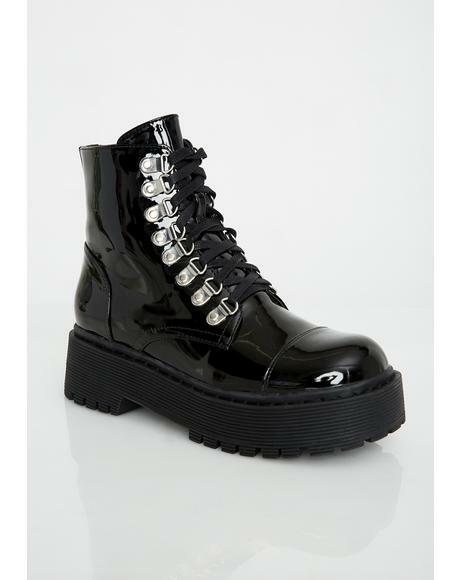 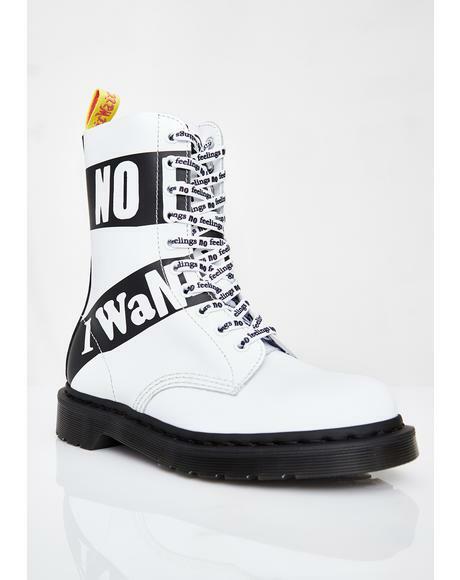 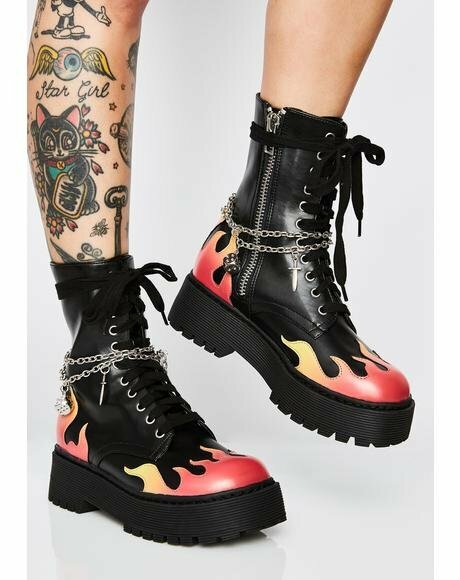 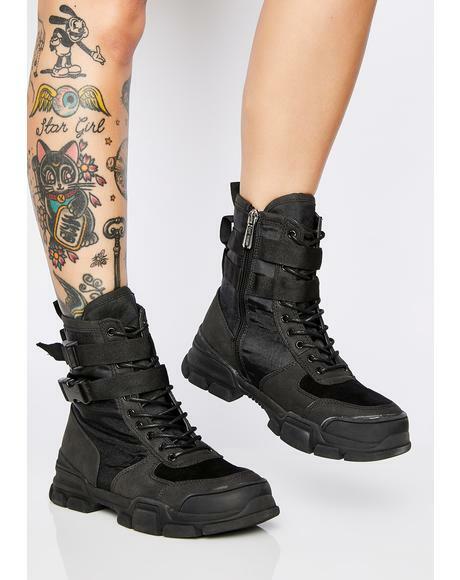 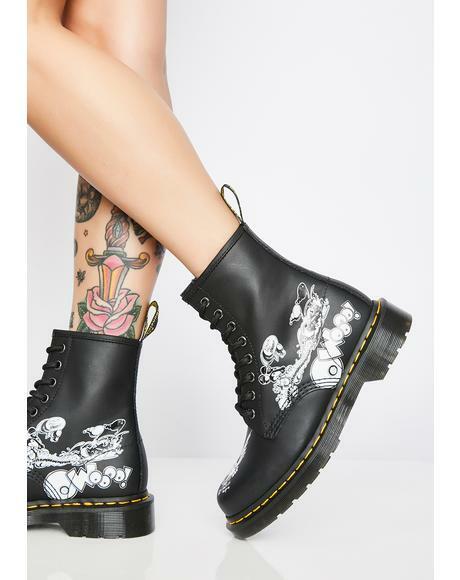 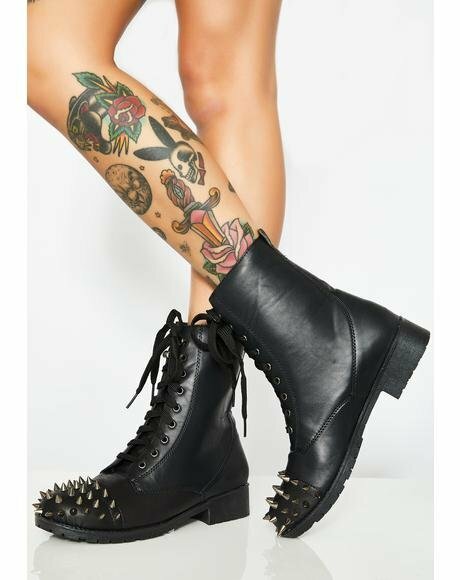 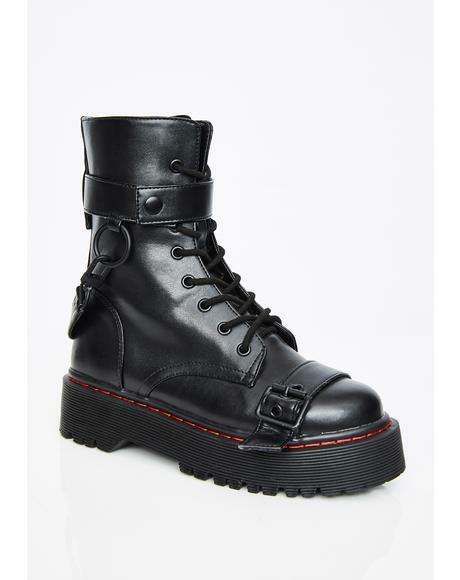 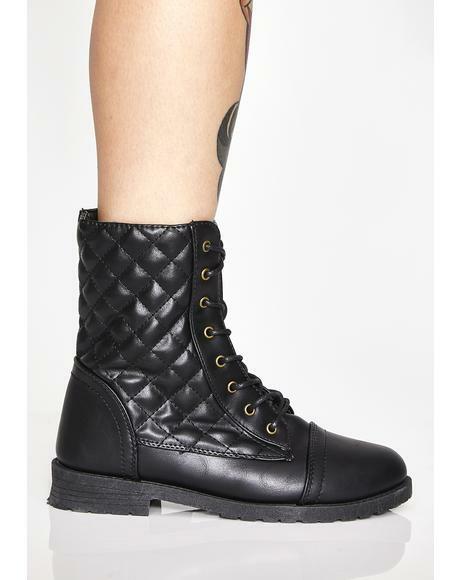 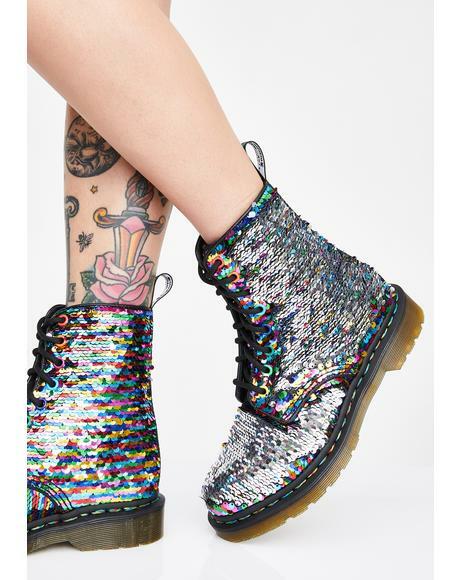 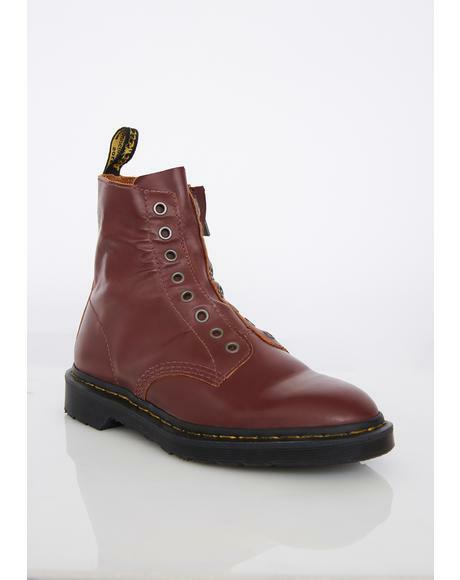 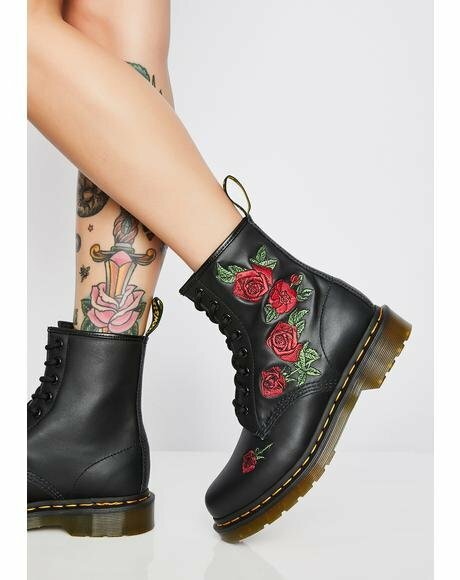 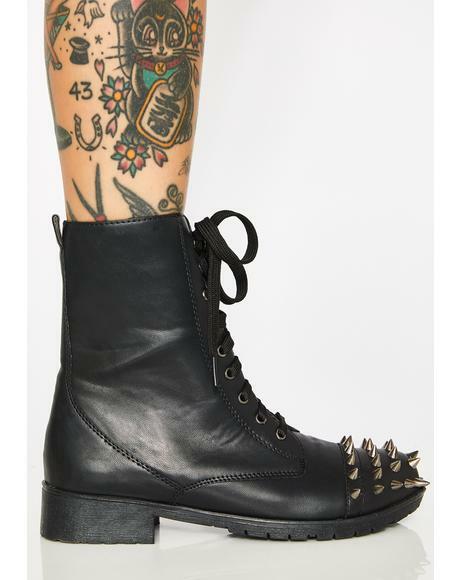 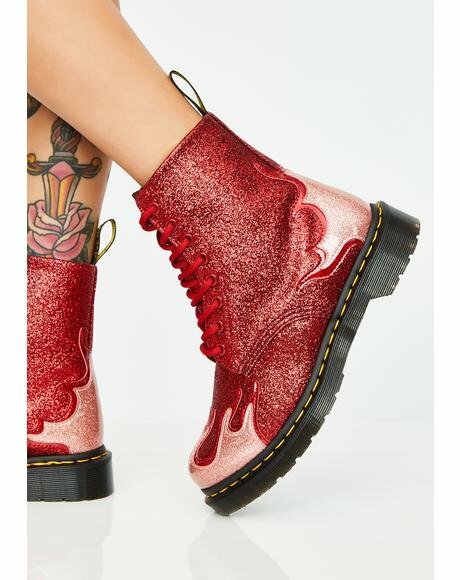 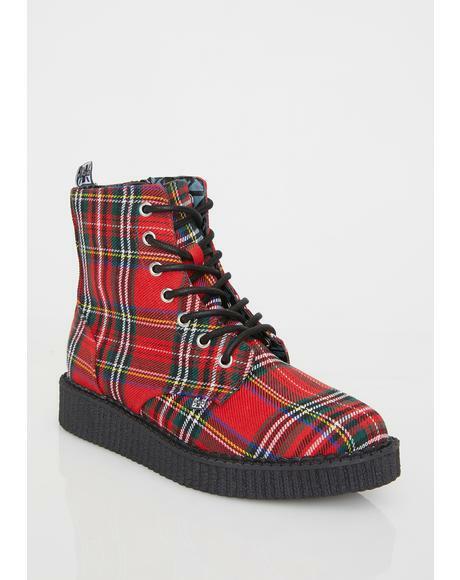 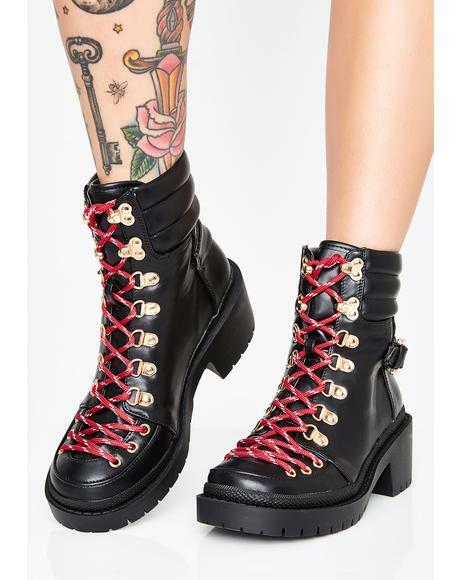 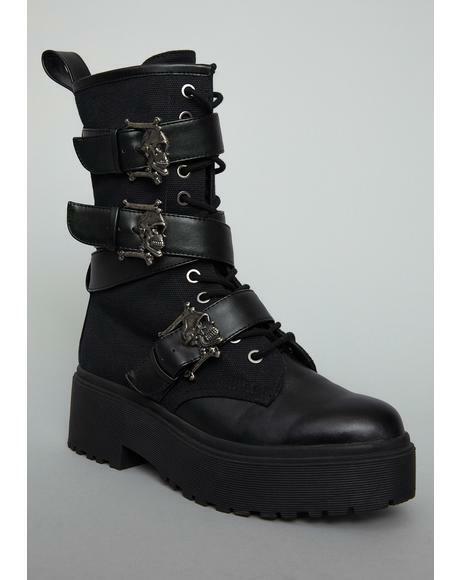 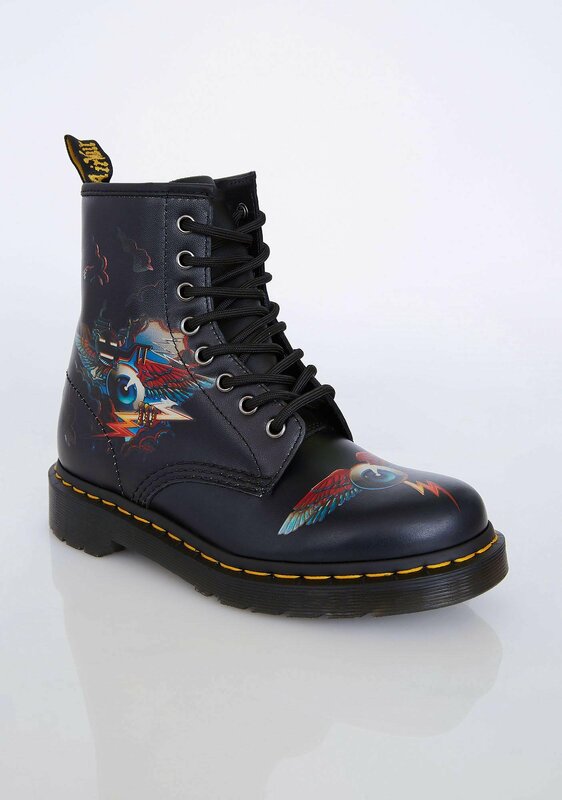 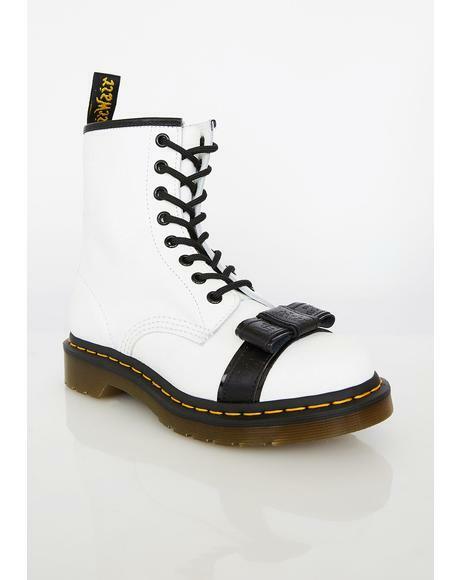 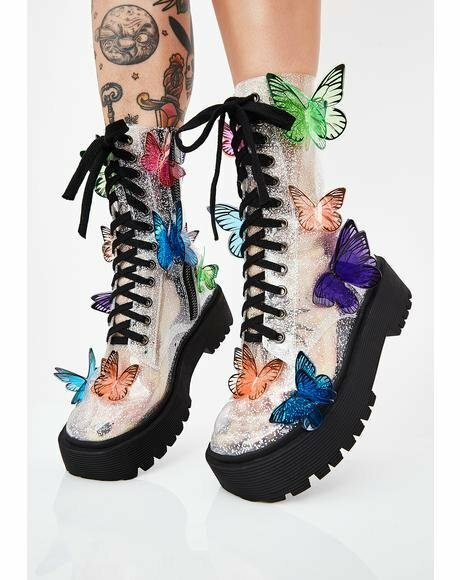 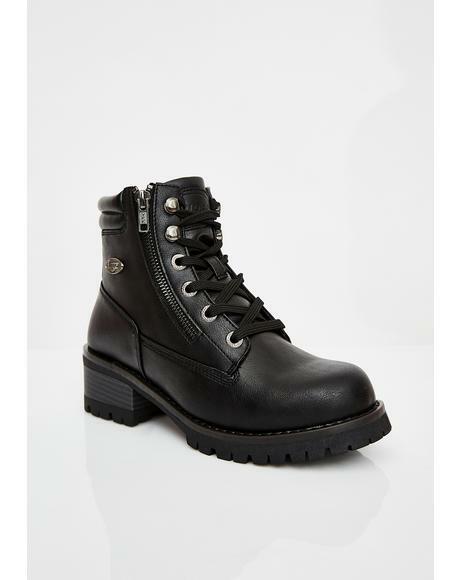 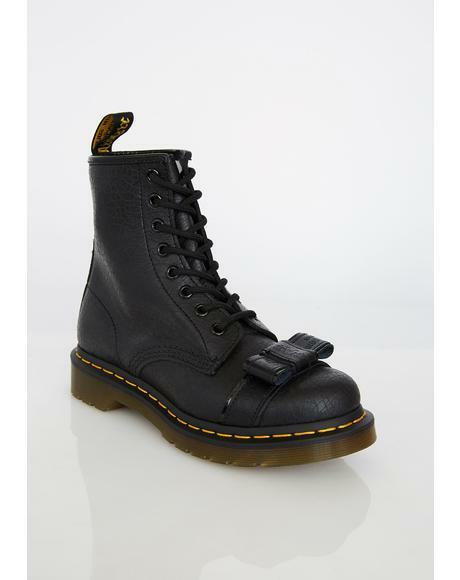 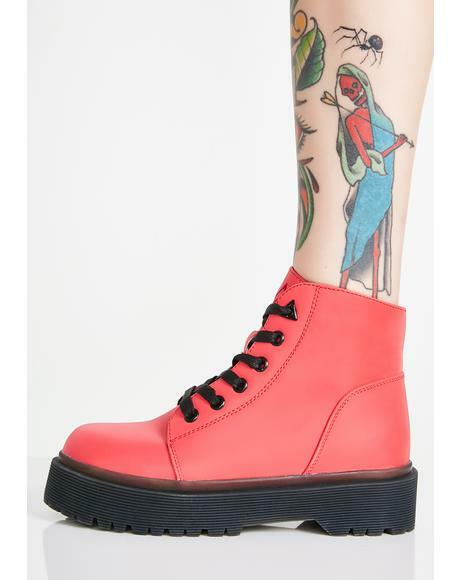 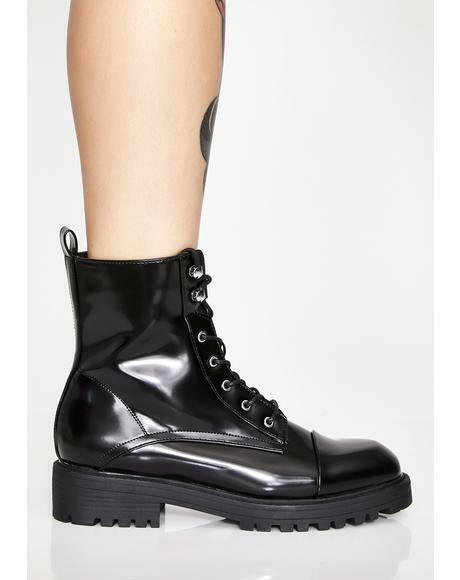 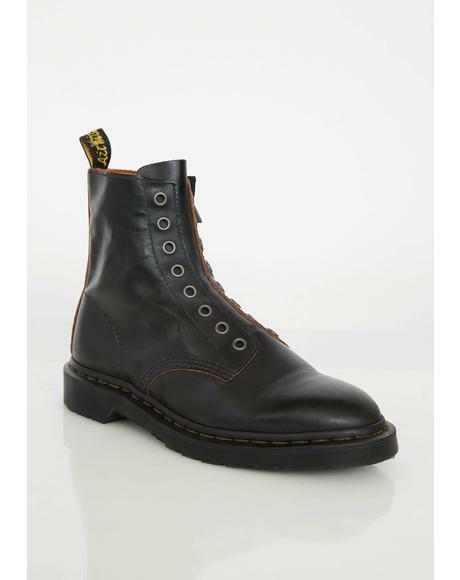 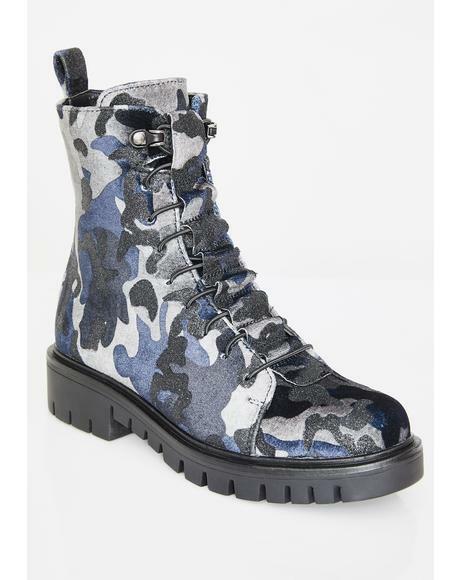 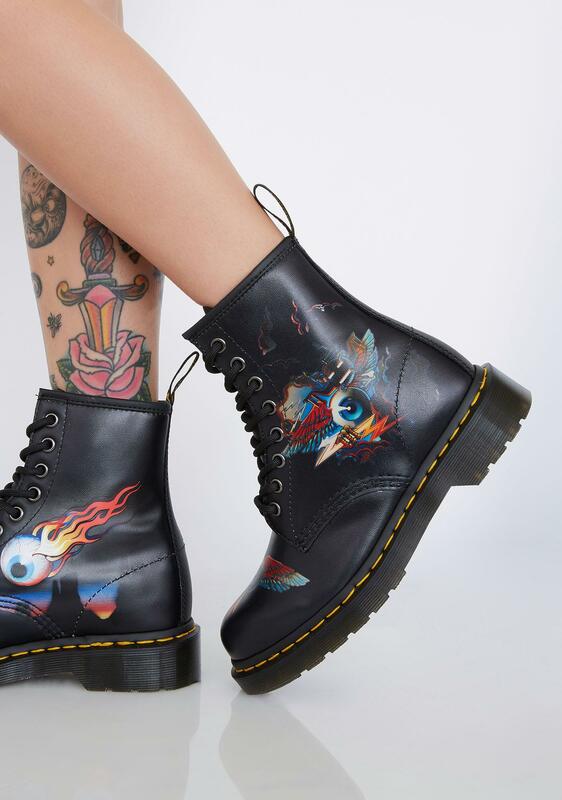 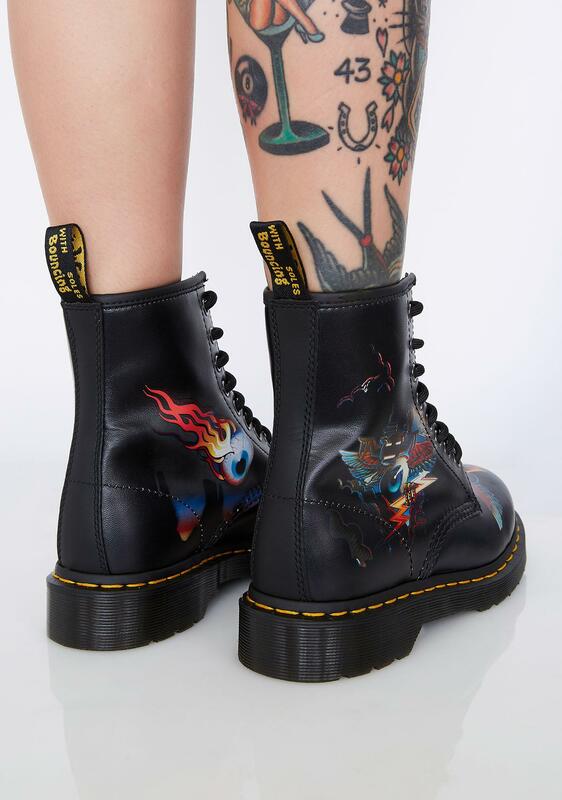 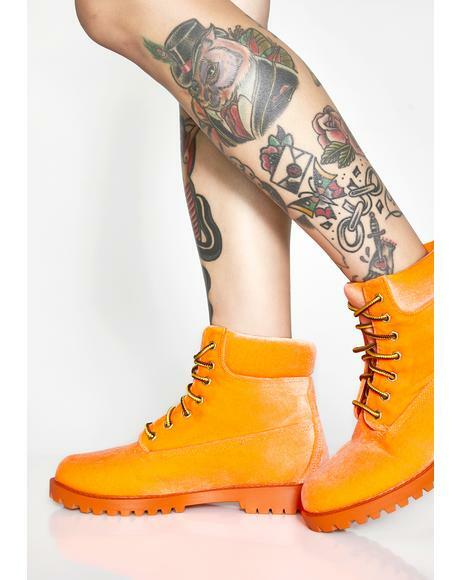 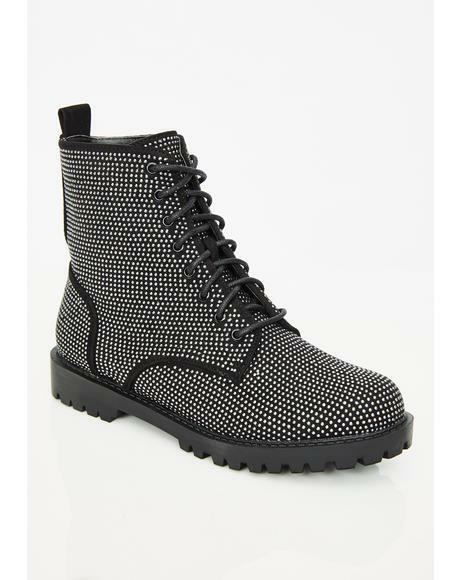 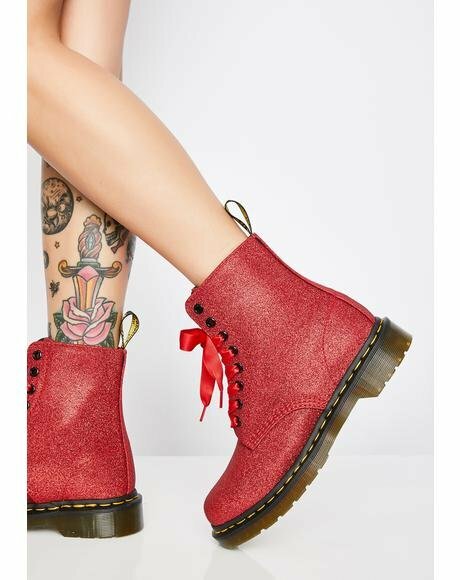 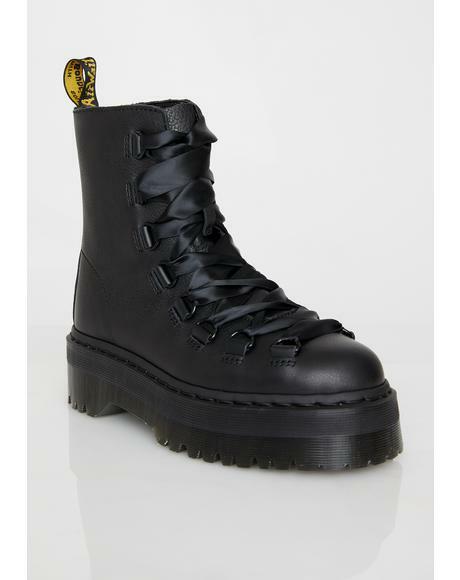 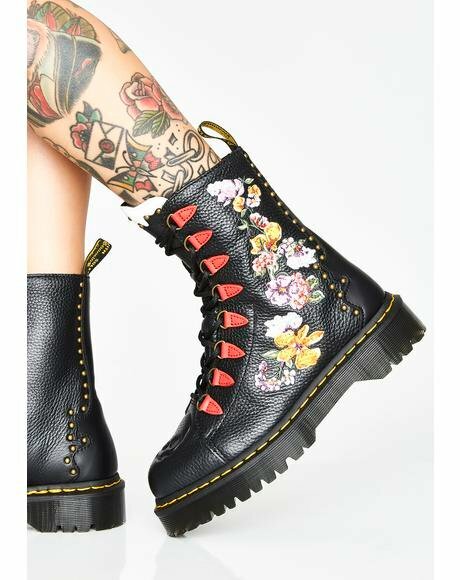 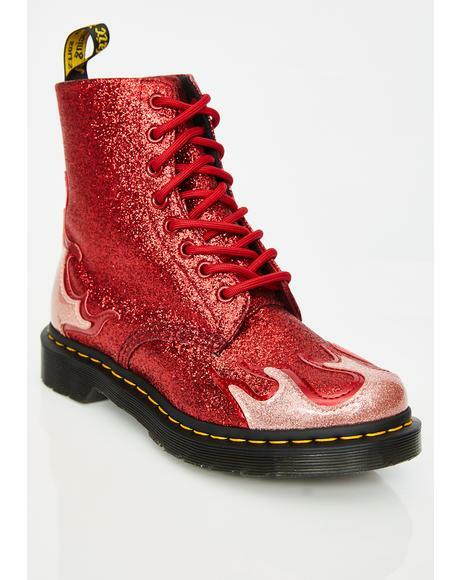 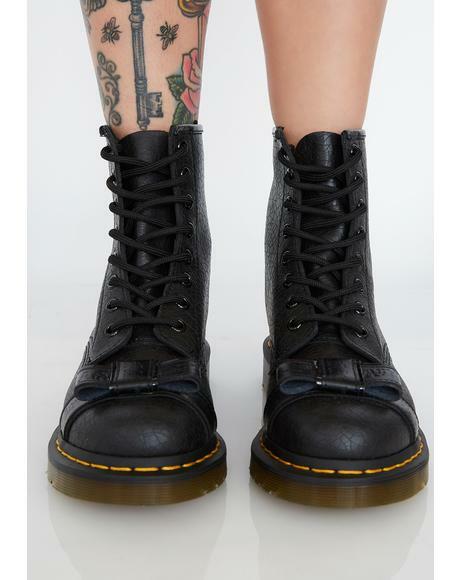 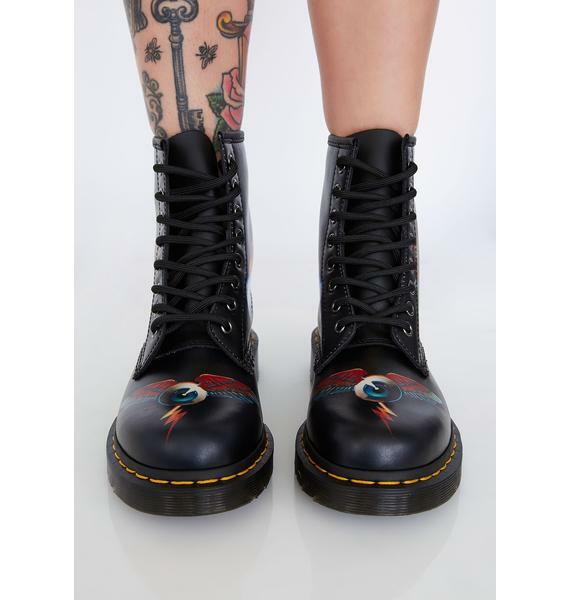 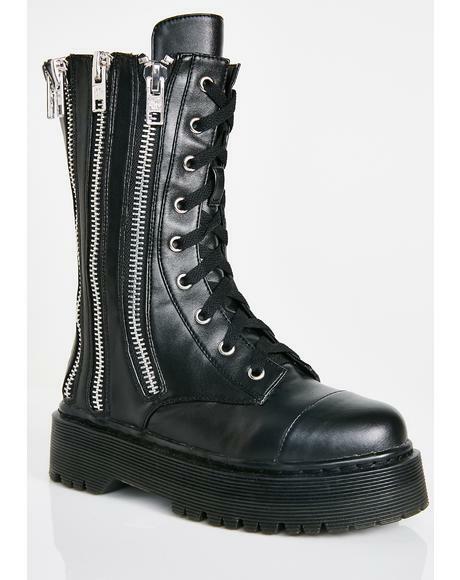 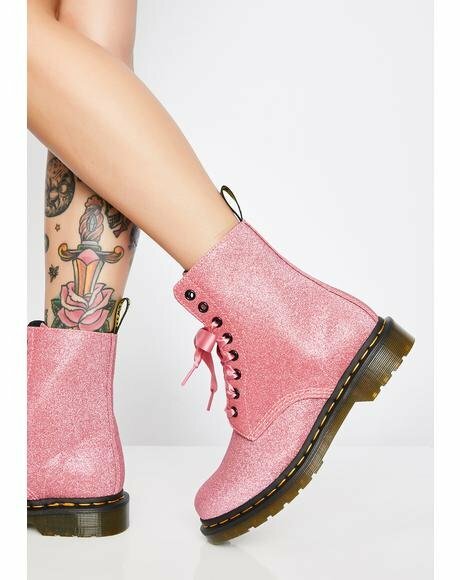 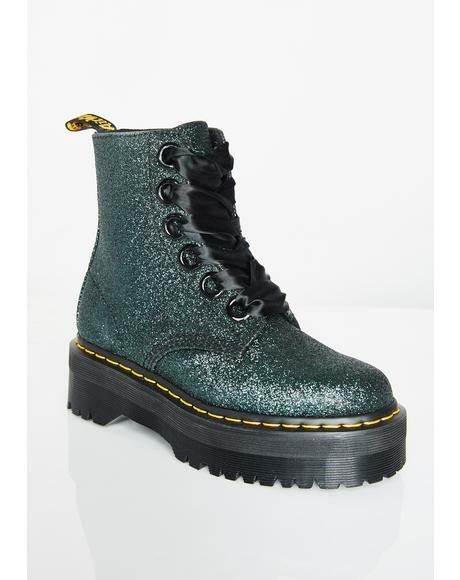 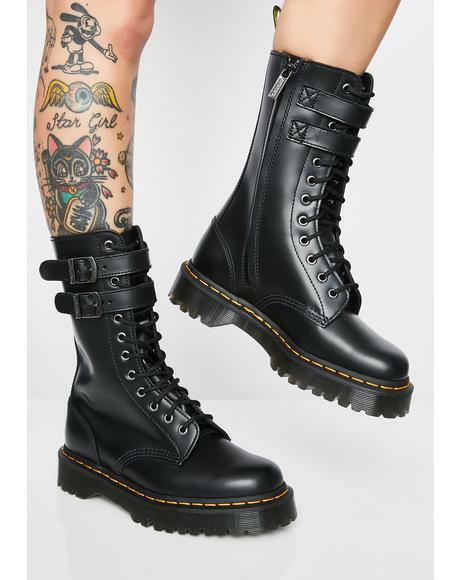 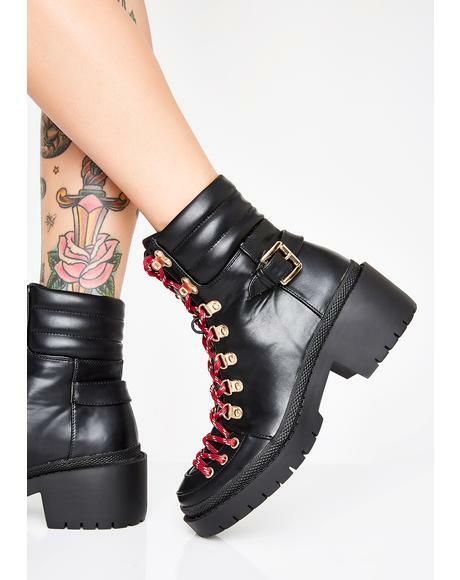 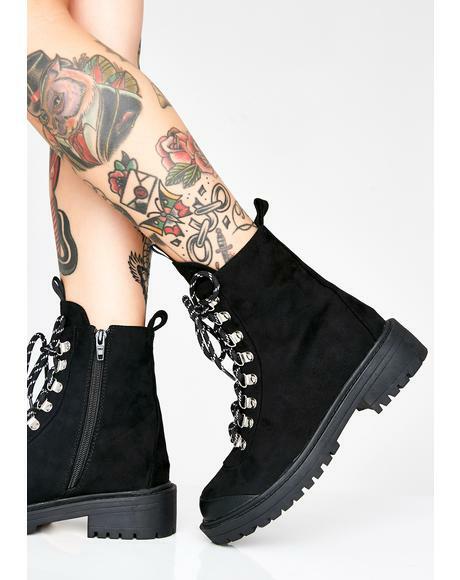 Dr. Martens 1460 Rick Griffin Eye Boots cuz you’re a psychedelic babe! 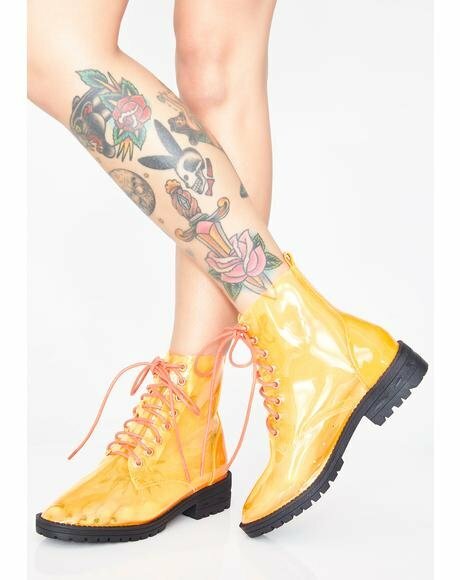 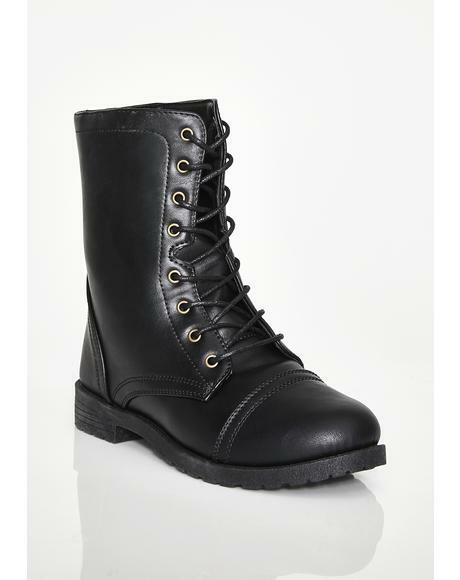 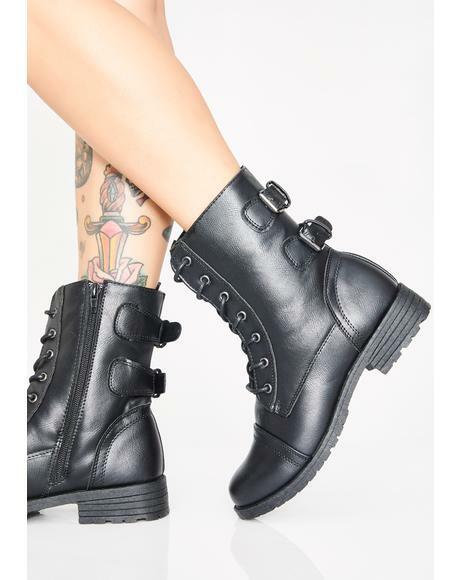 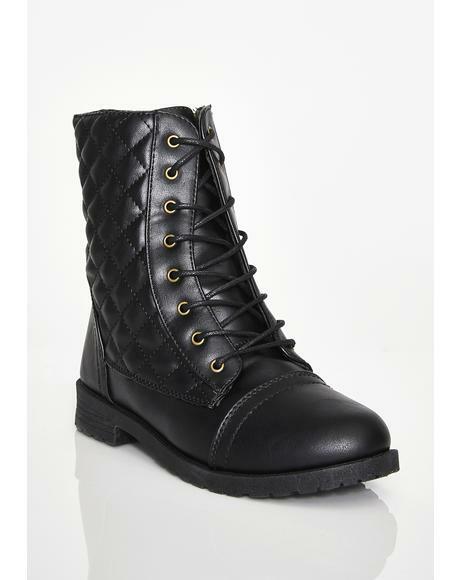 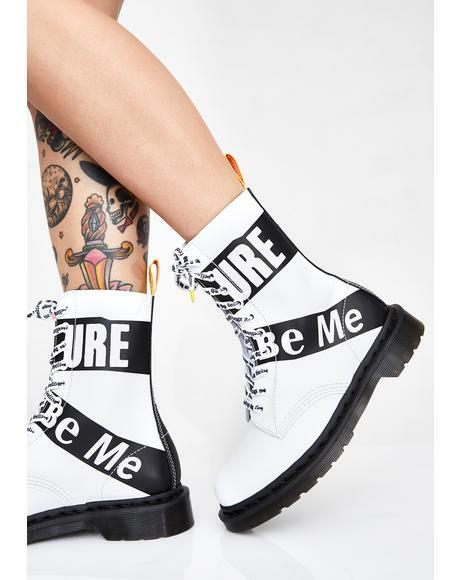 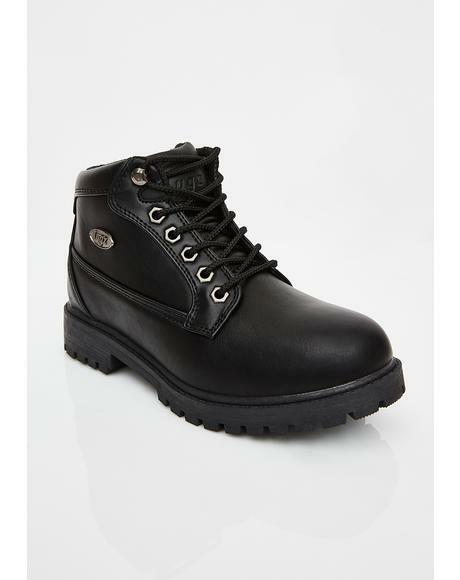 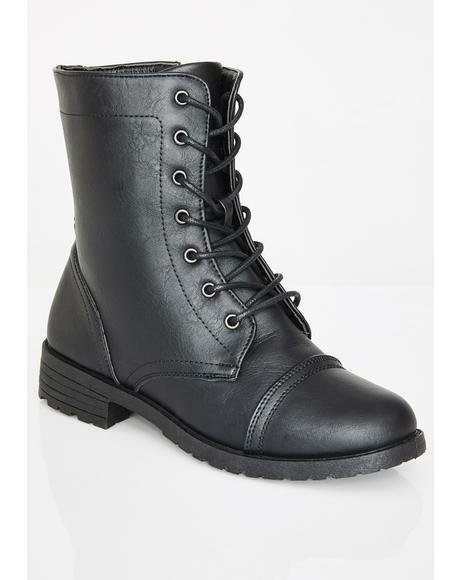 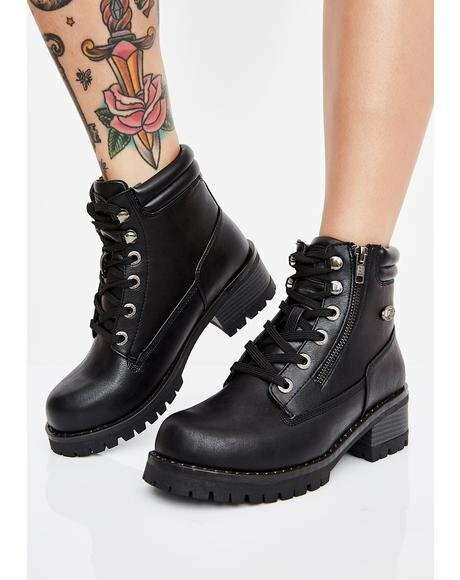 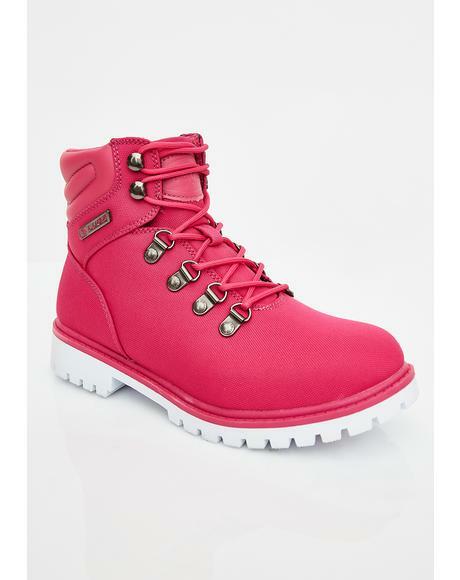 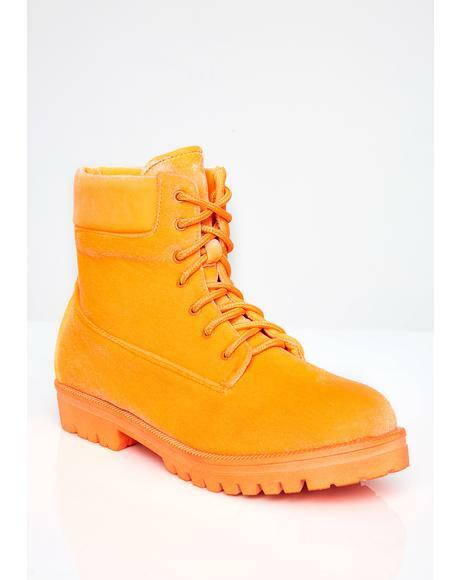 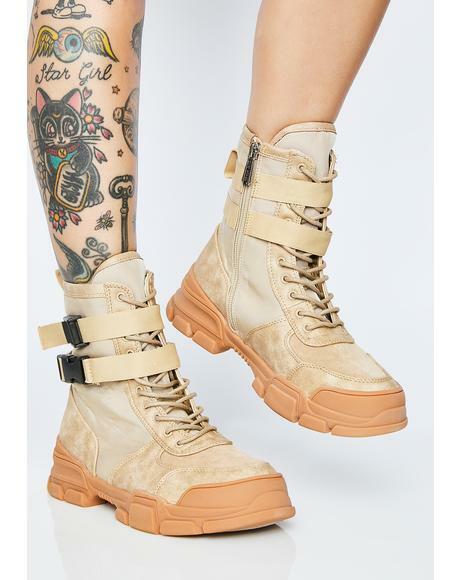 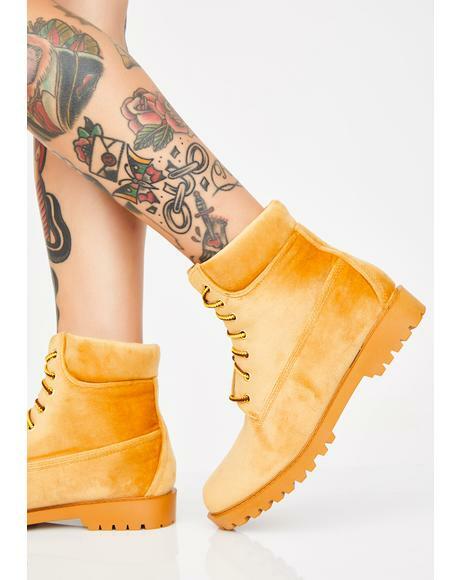 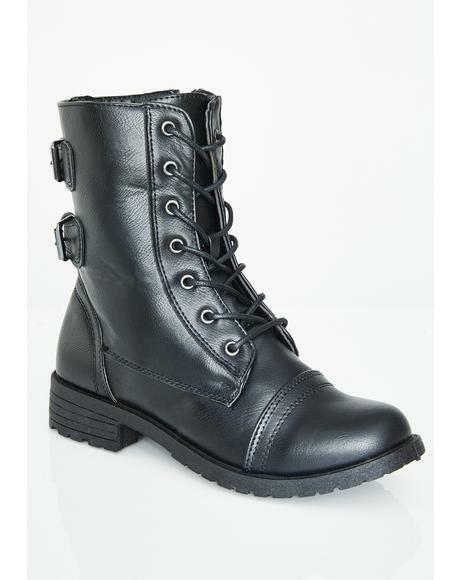 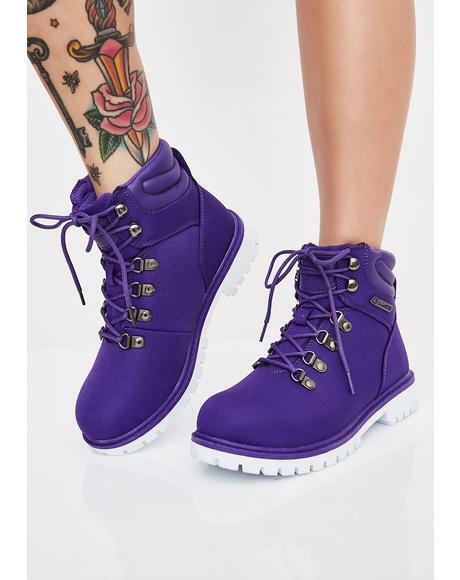 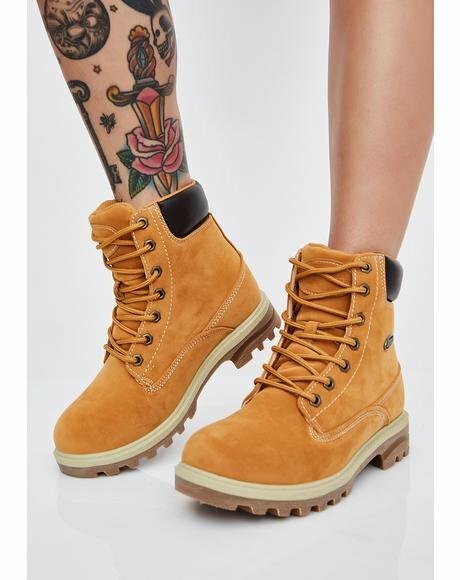 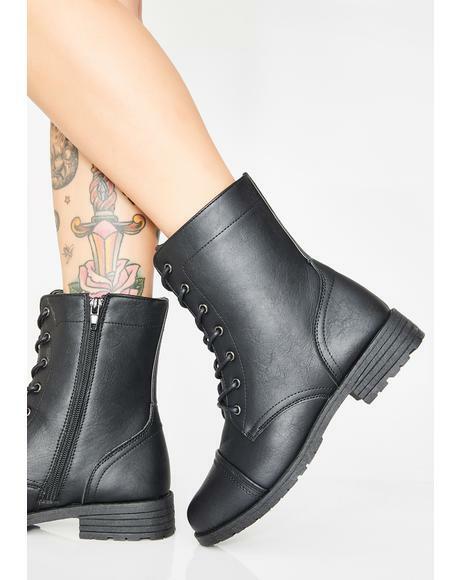 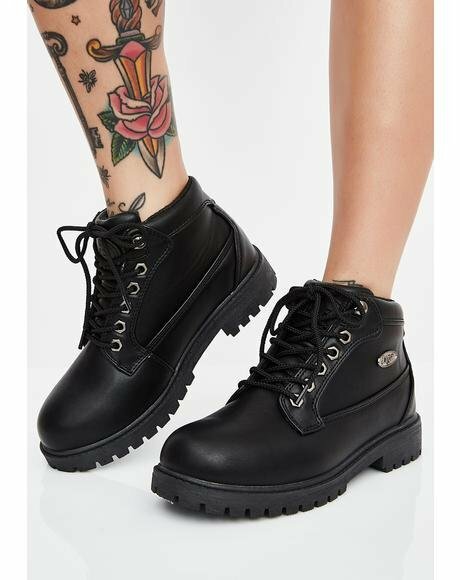 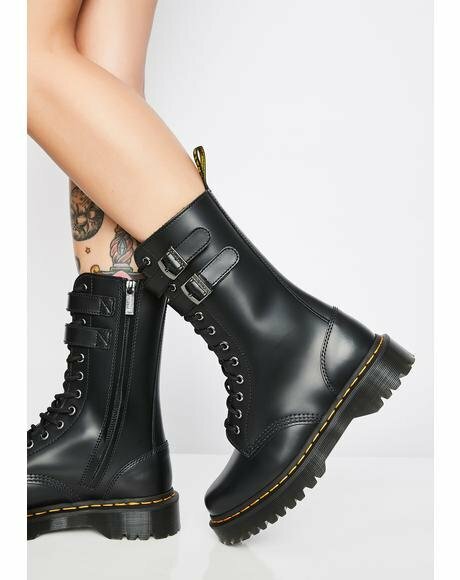 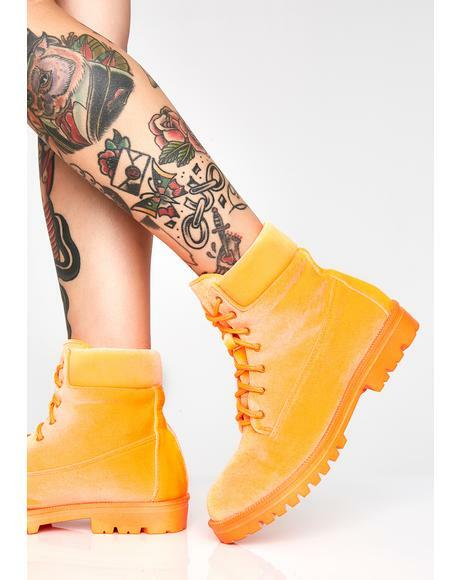 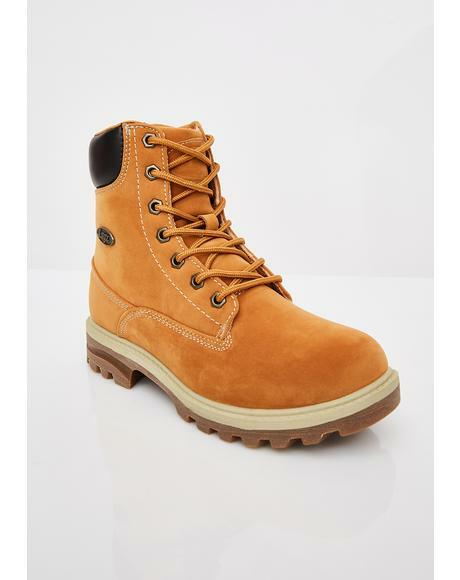 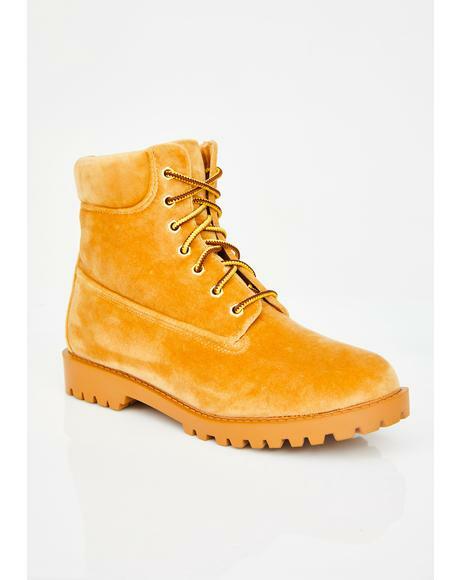 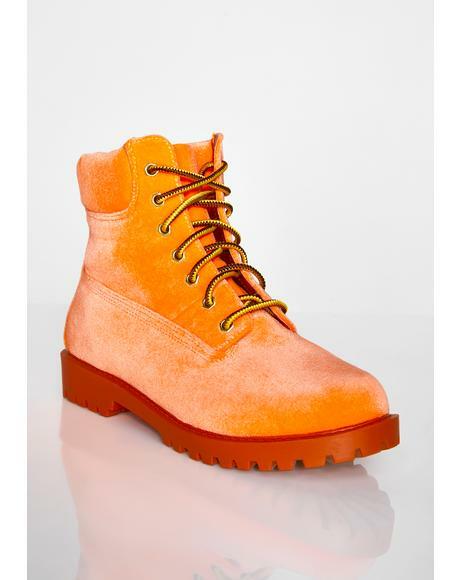 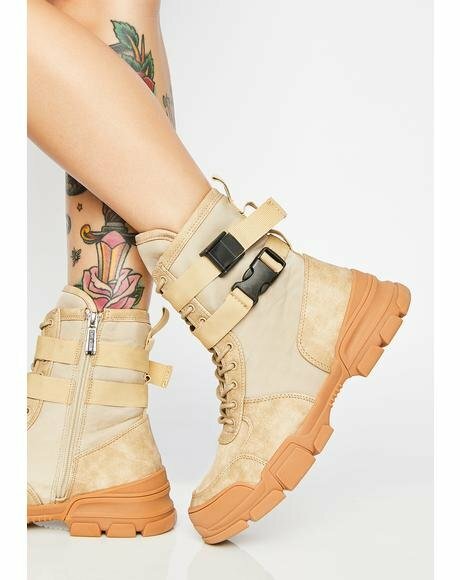 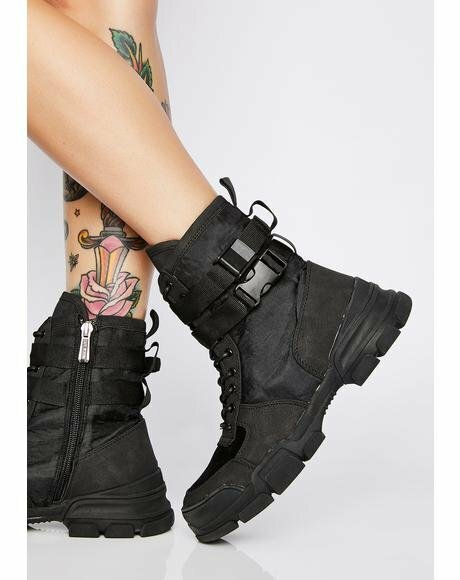 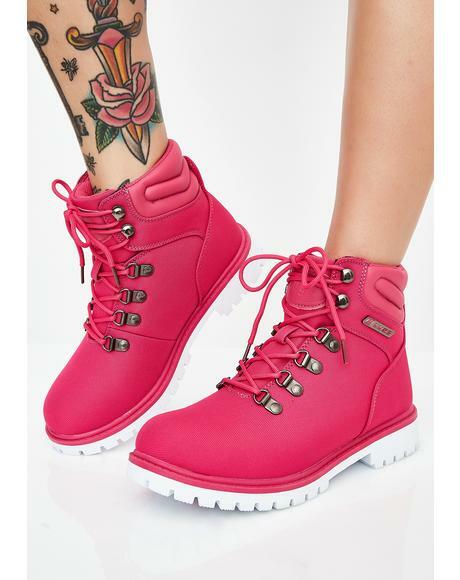 Let ‘em know what’s good in these matte combat boots that have cushy soles, lace up closures, and the OG yellow stitching. 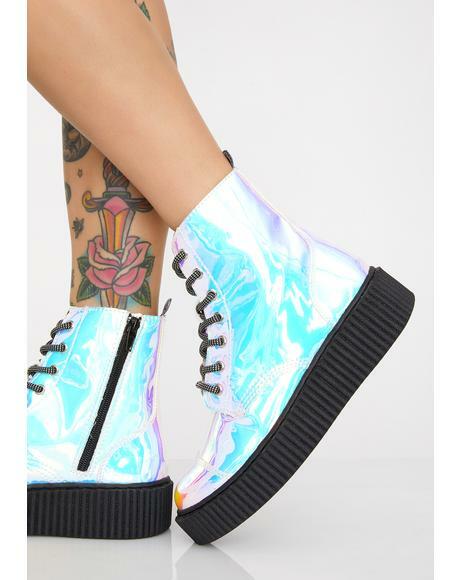 If u wear half sizes, we recommend sizing down to the nearest whole size.